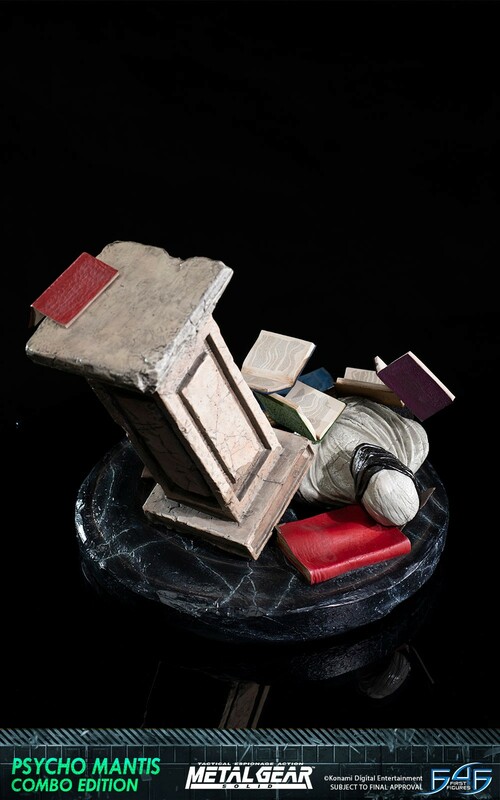 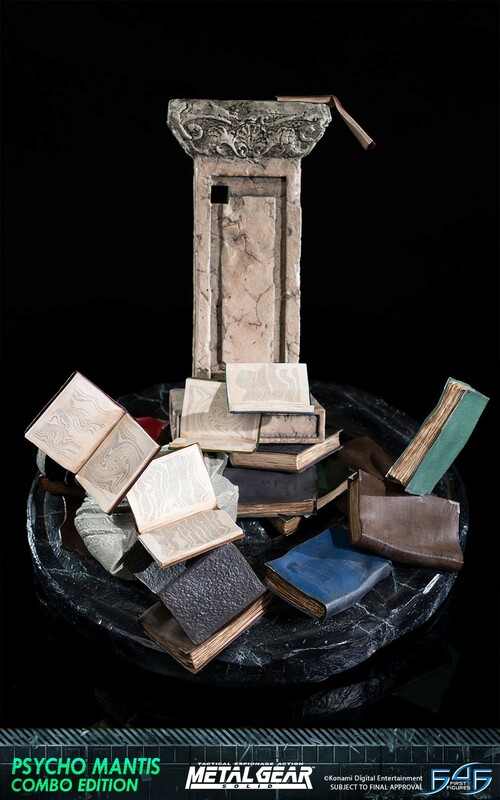 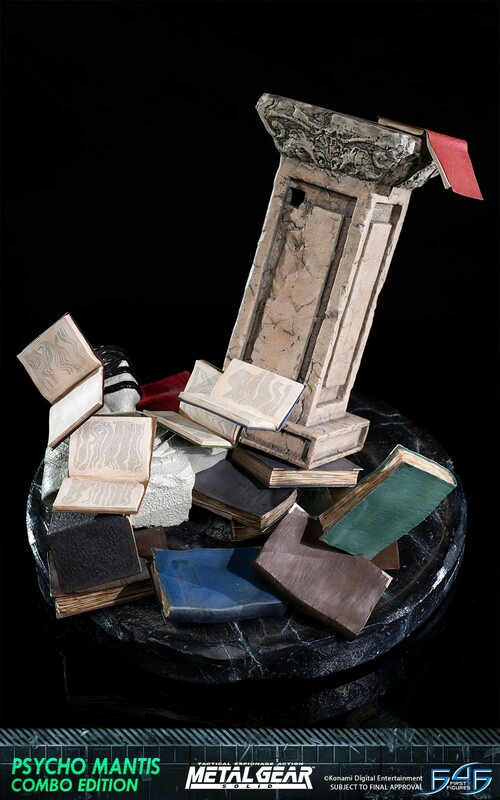 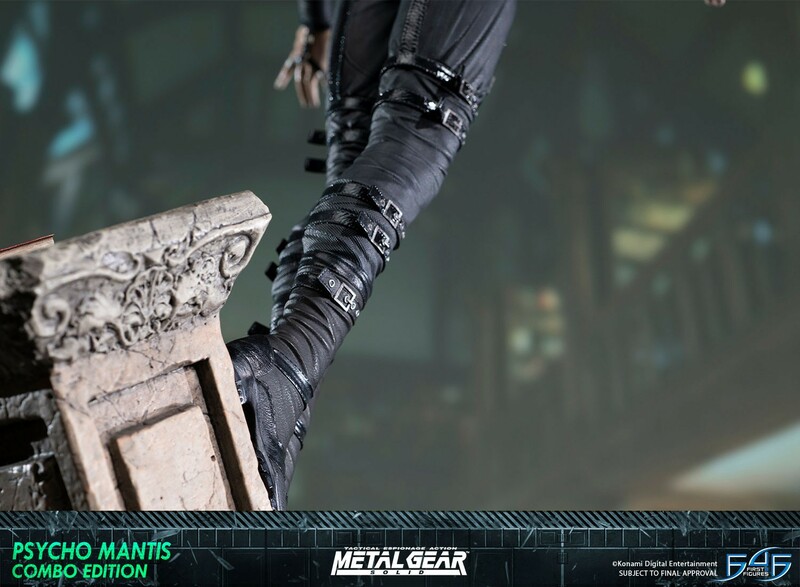 * To further support our gaming line, if by the end of this four-week pre-order period the Exclusive version does not hit a total number of 1,000 pieces sold, the pre-order period will extend until either 1,000 pieces are sold or until before production starts; if 1,000 pieces are sold during this four-week pre-order period, the pre-ordering process will end as scheduled. 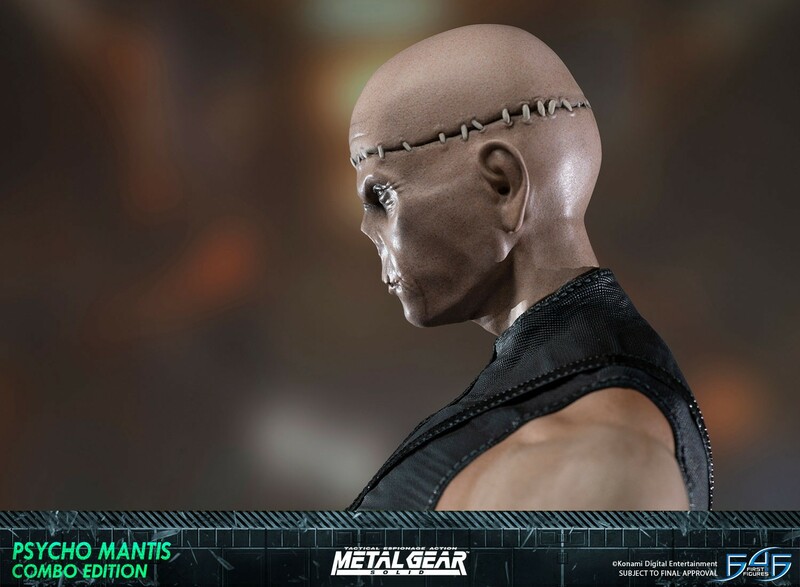 3 months x $214.00 + final balance ? 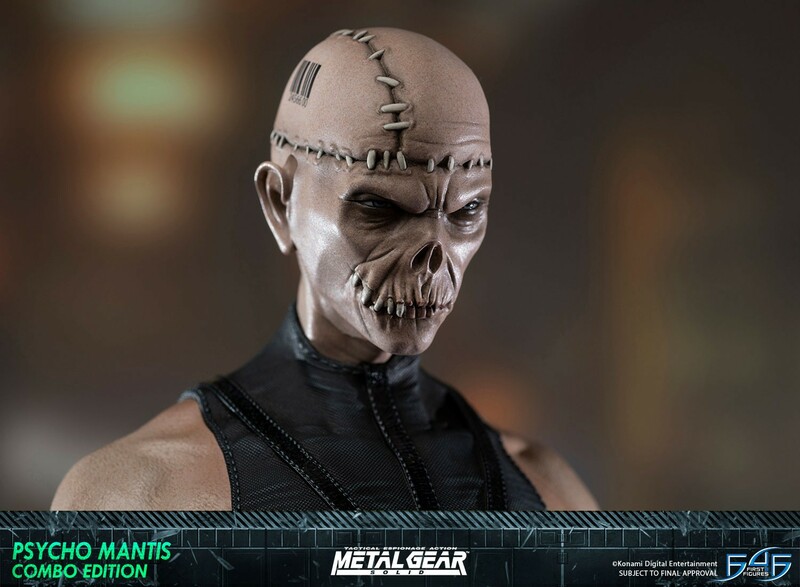 6 months x $122.00 + final balance ? 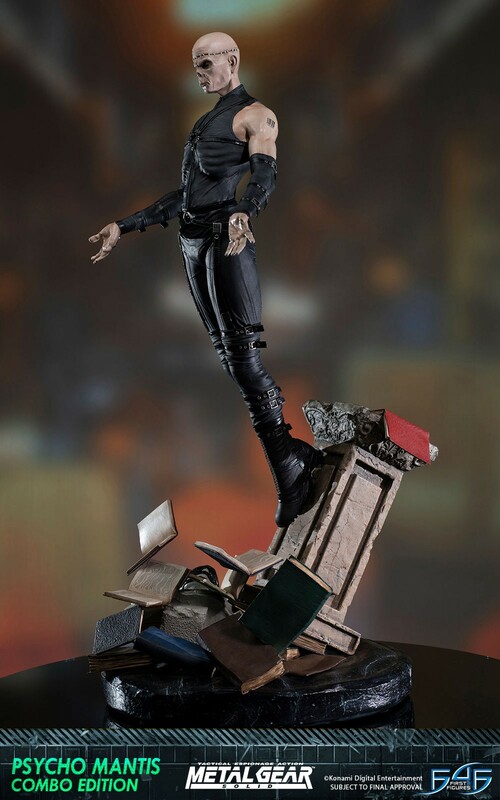 8 months x $95.00 + final balance ? 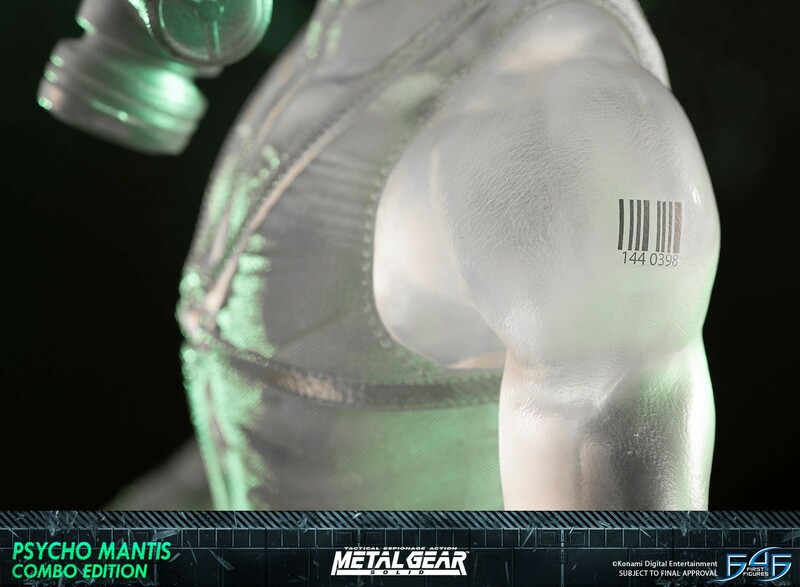 11 months x $71.00 + final balance ? 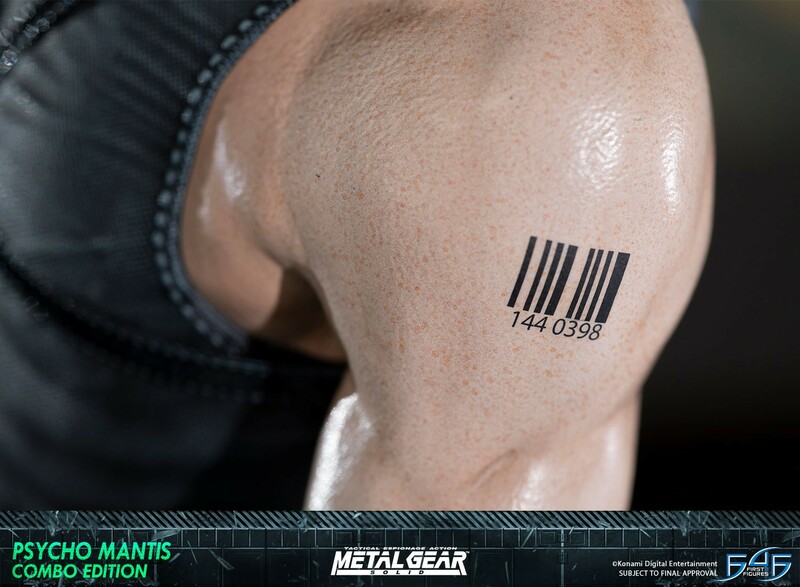 You will earn 4,750 F4F Reward Points for purchasing this product. 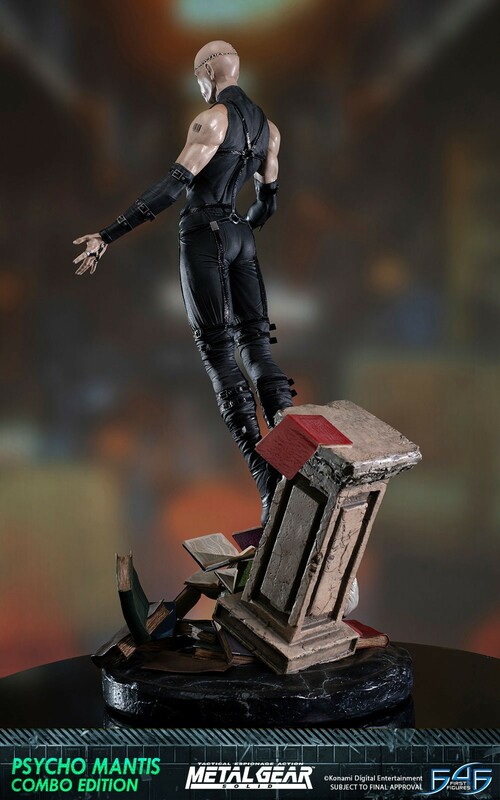 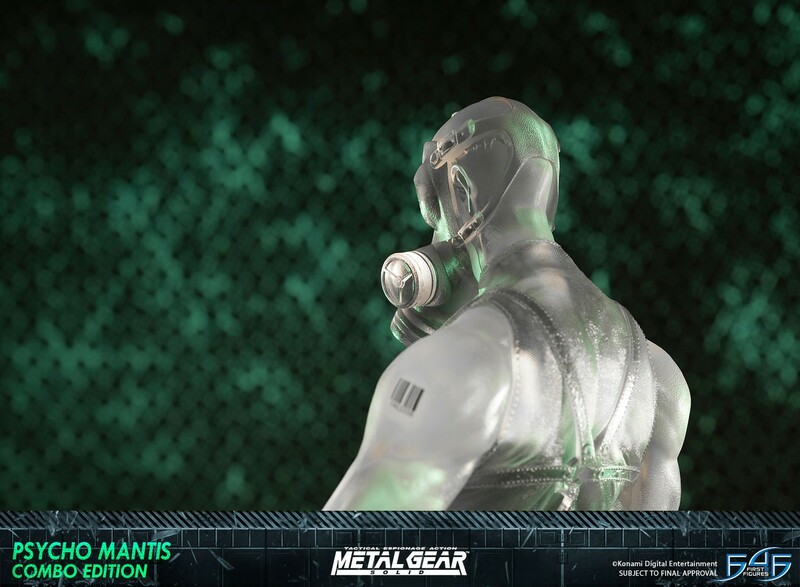 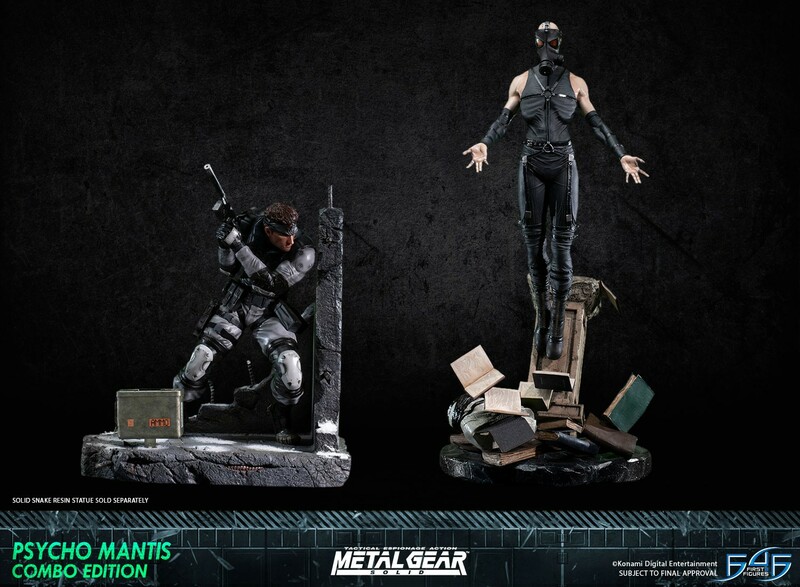 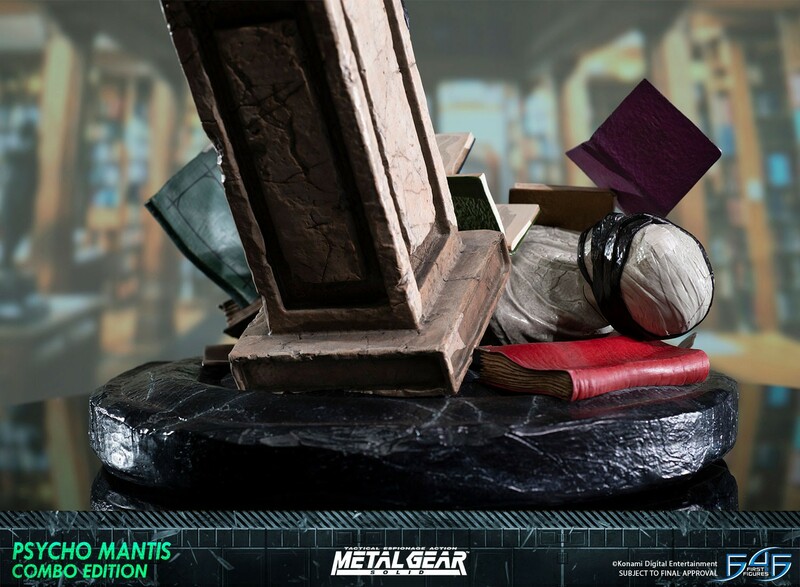 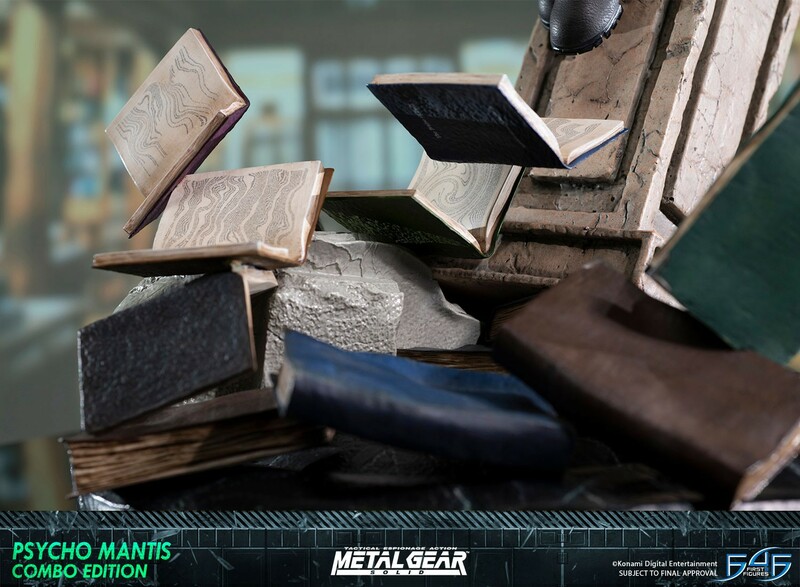 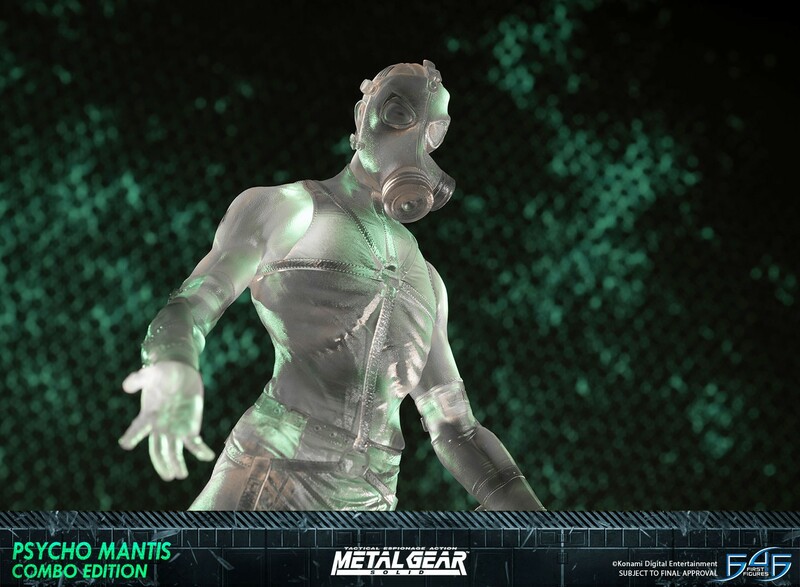 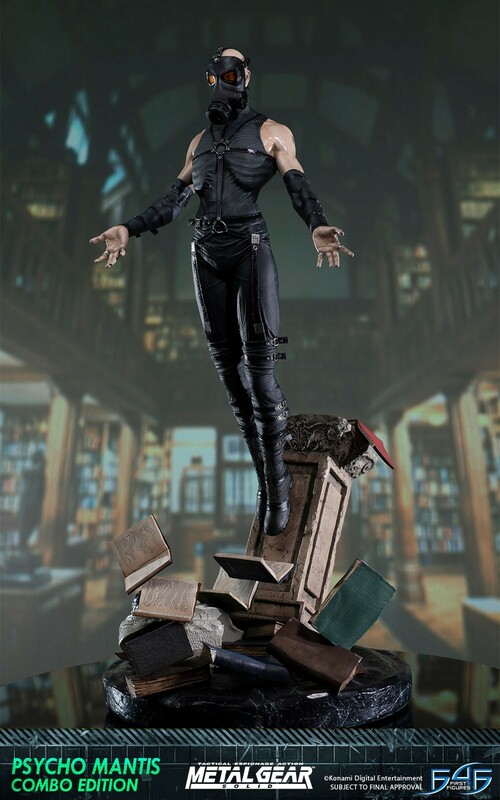 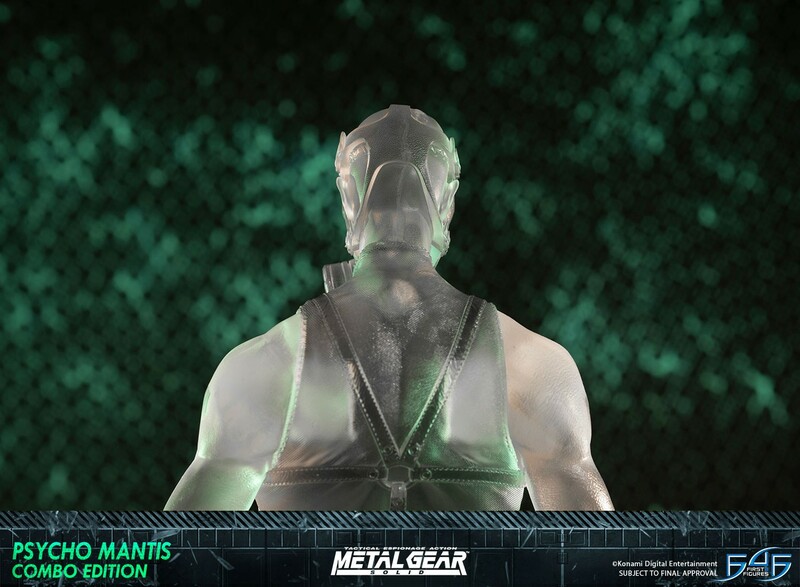 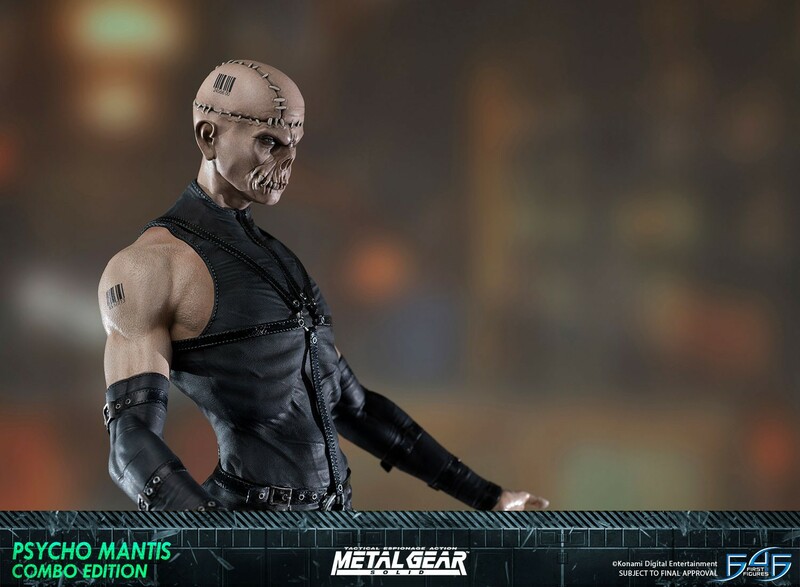 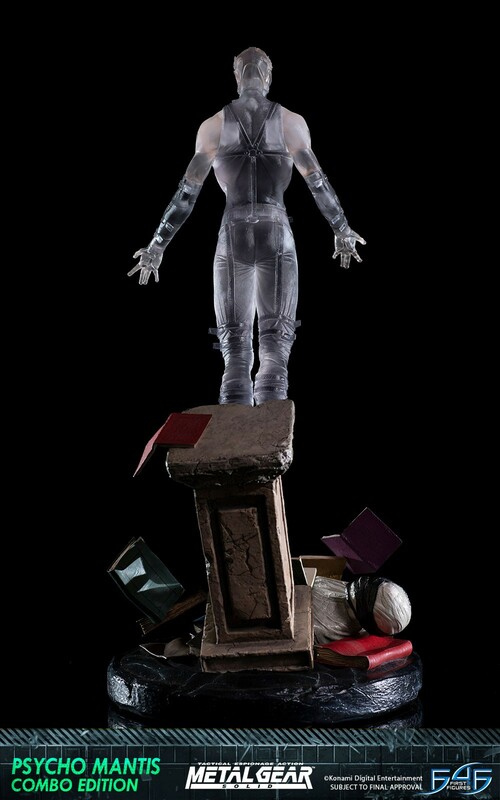 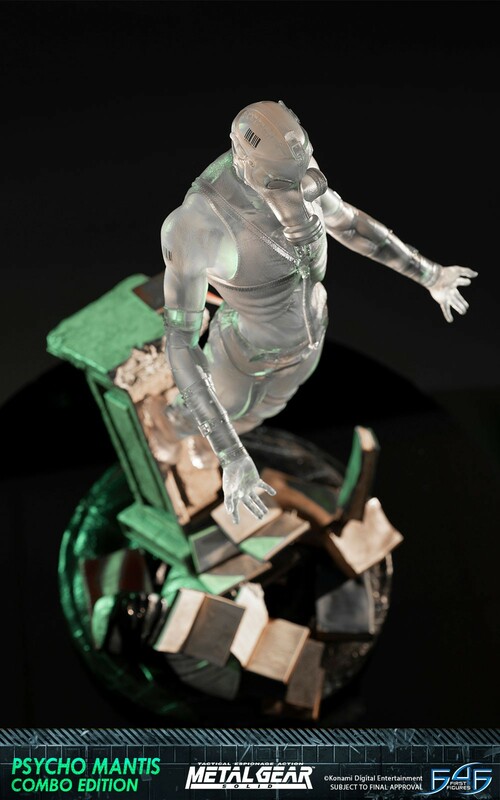 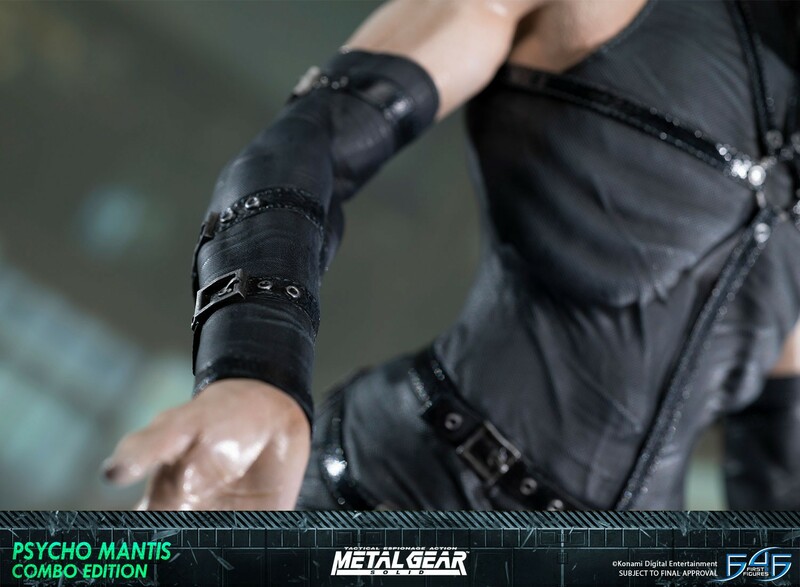 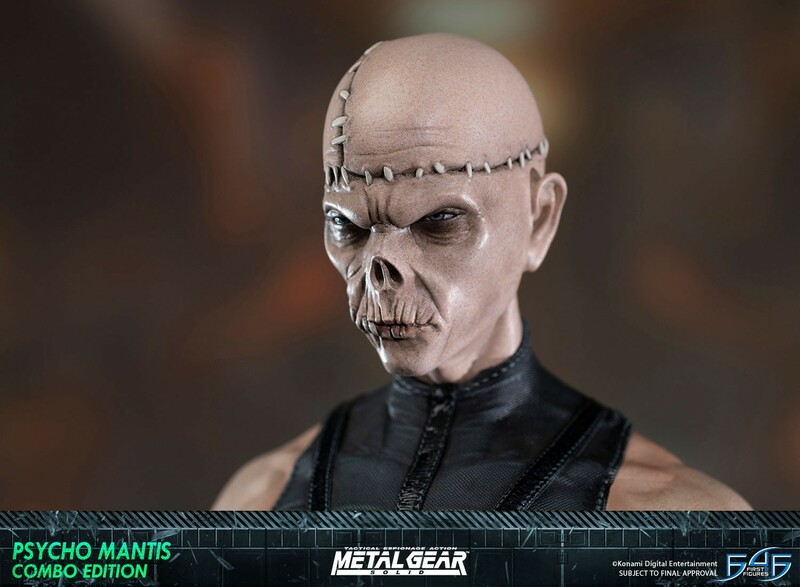 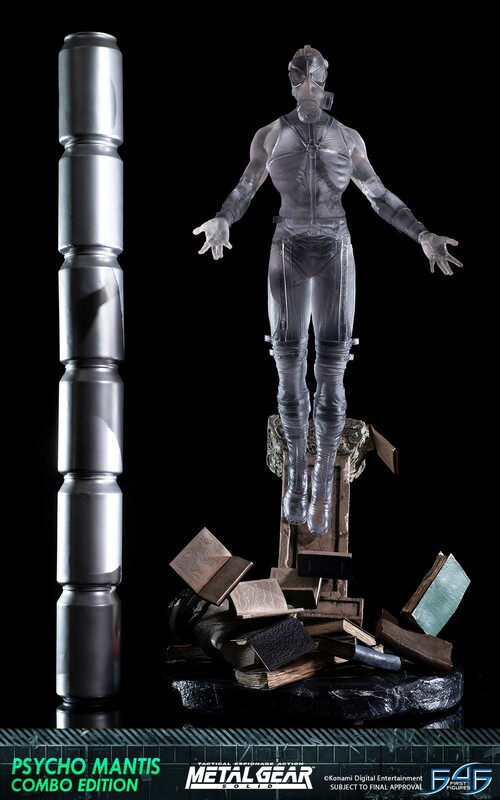 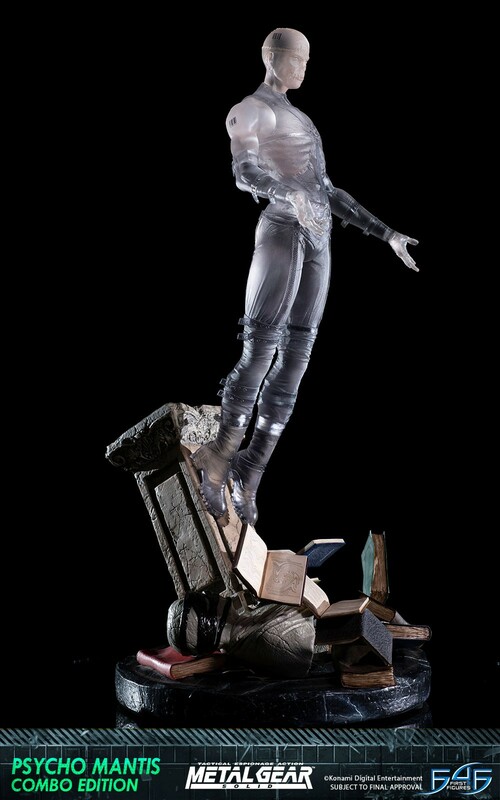 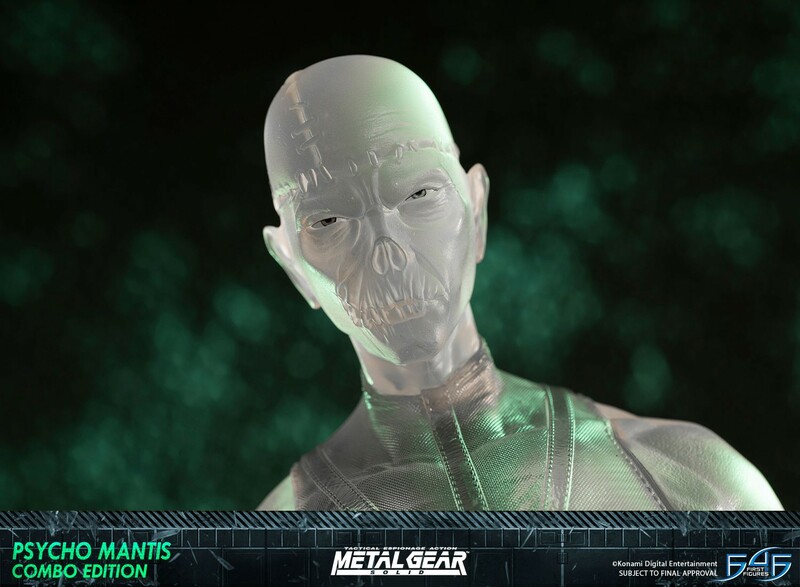 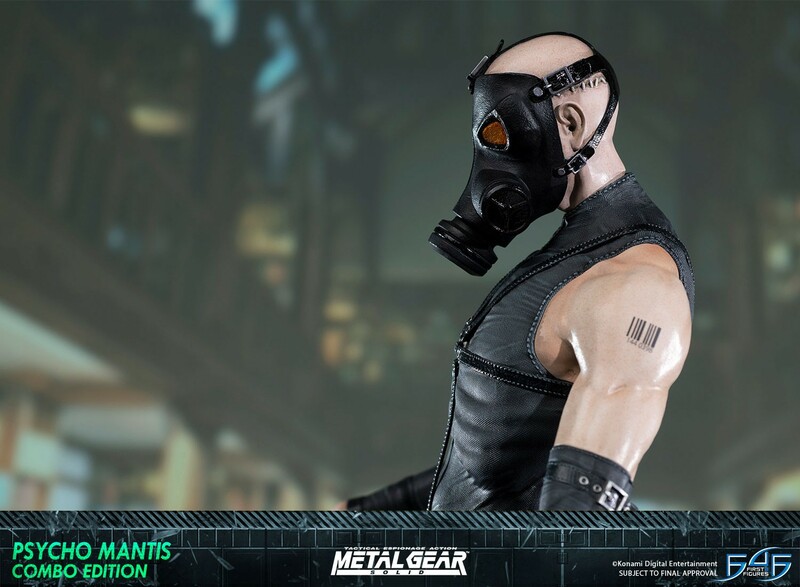 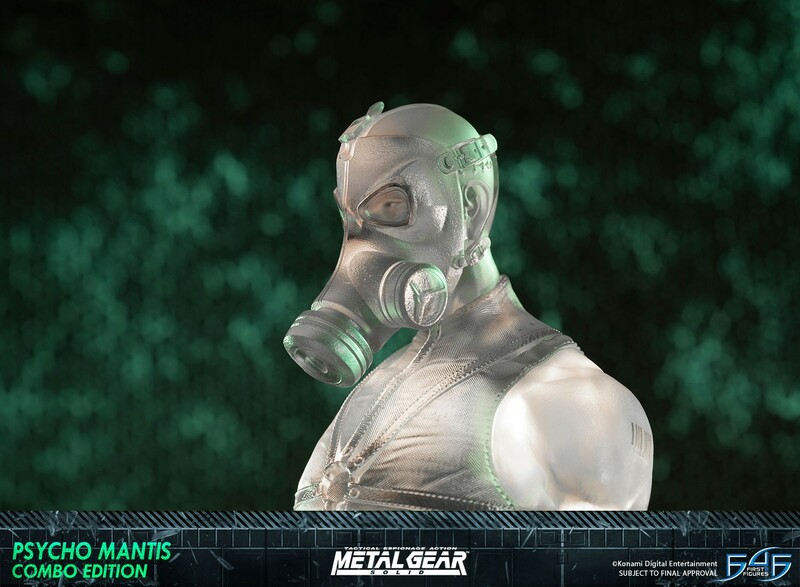 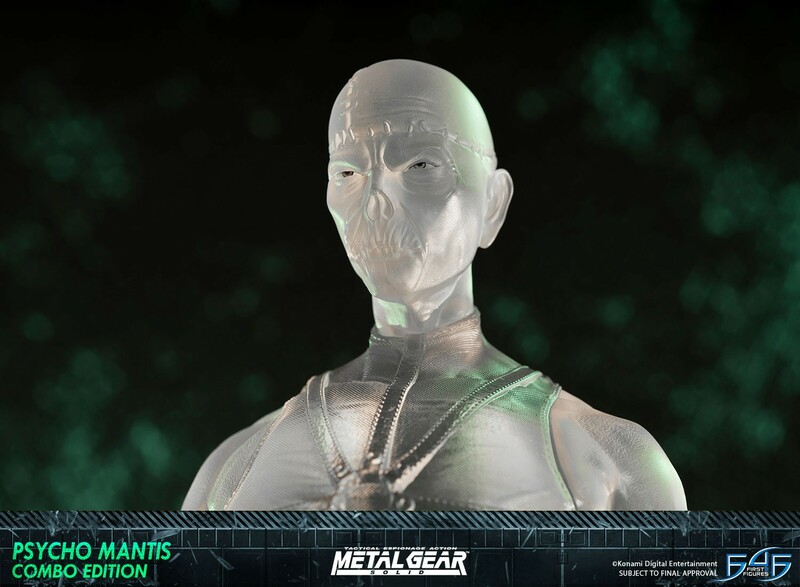 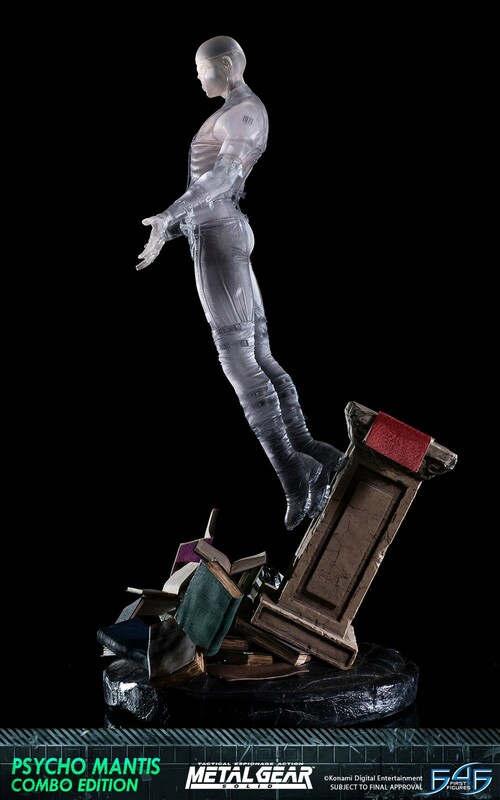 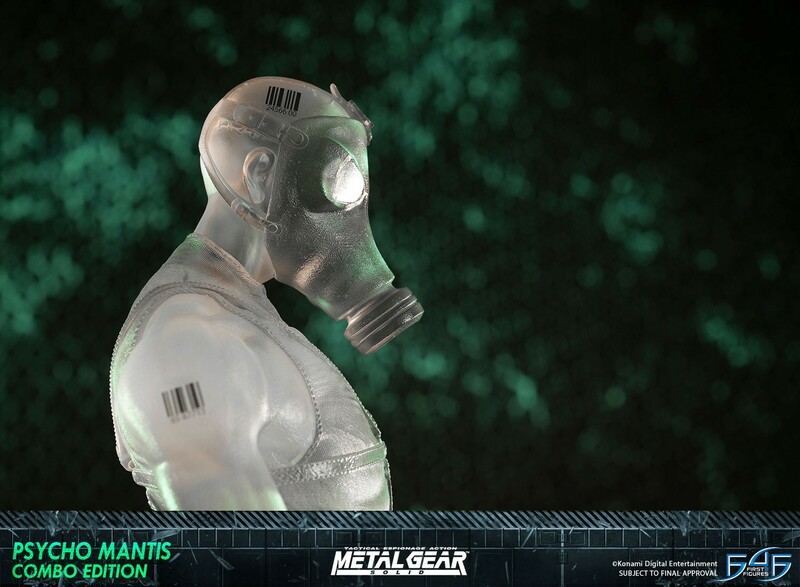 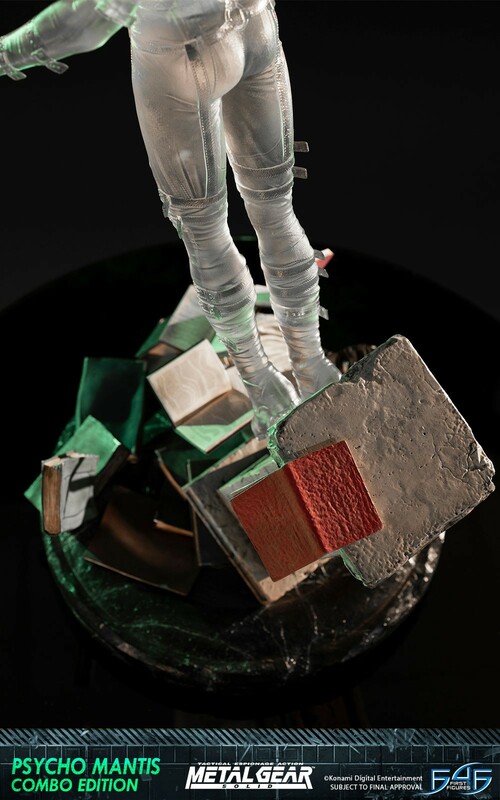 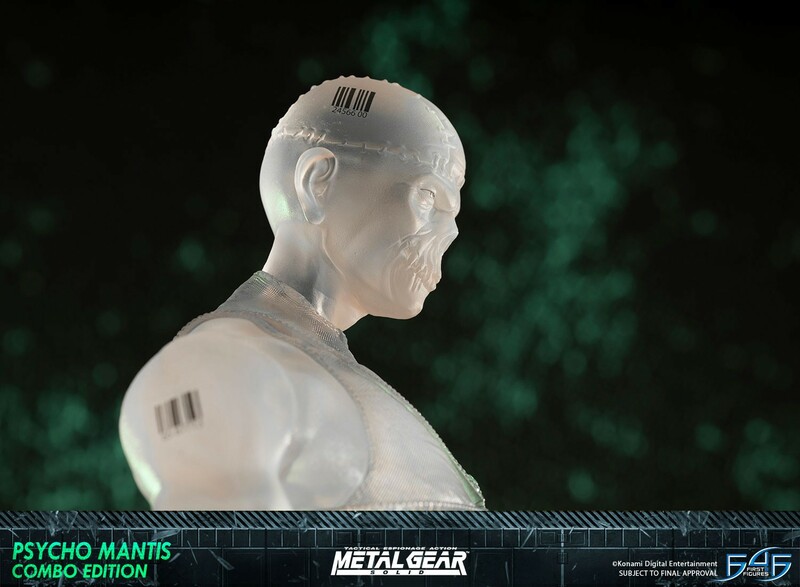 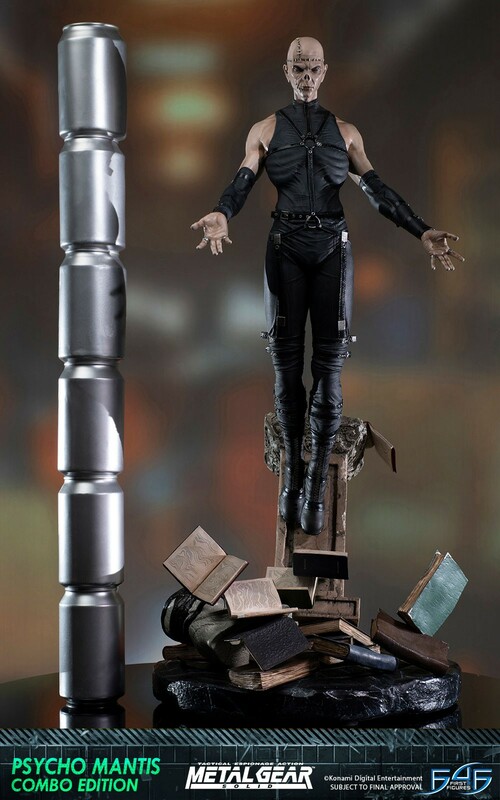 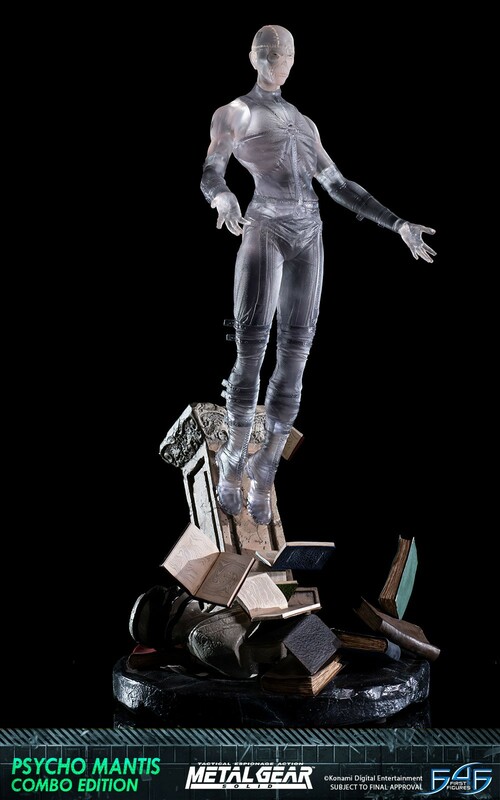 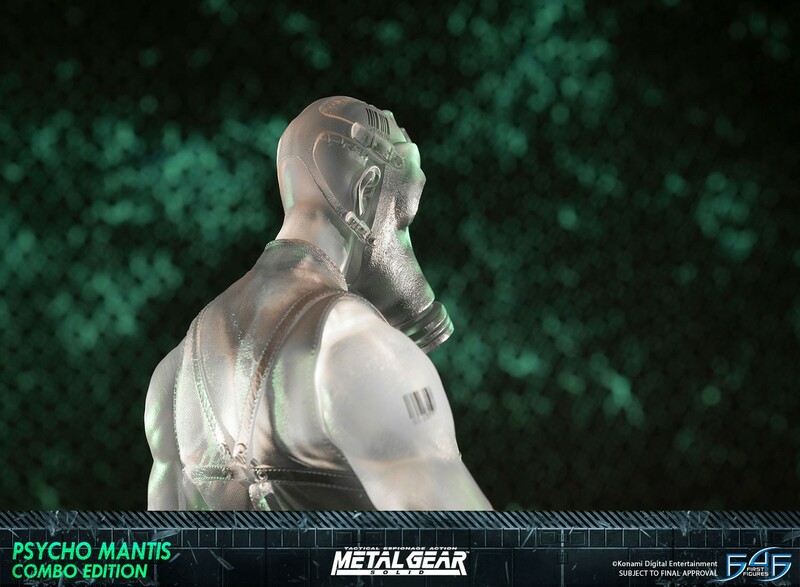 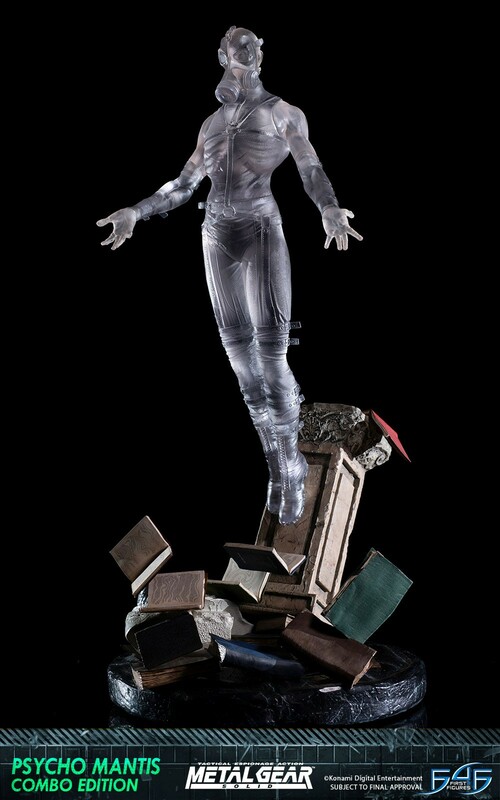 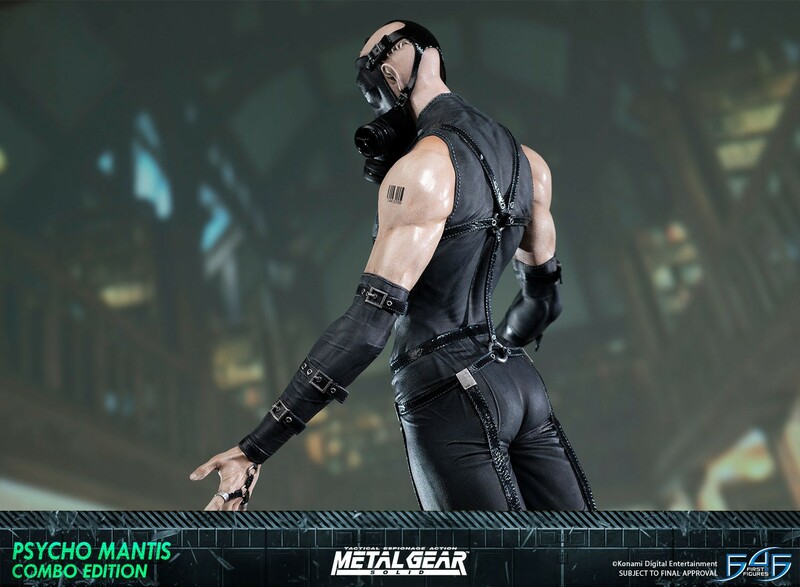 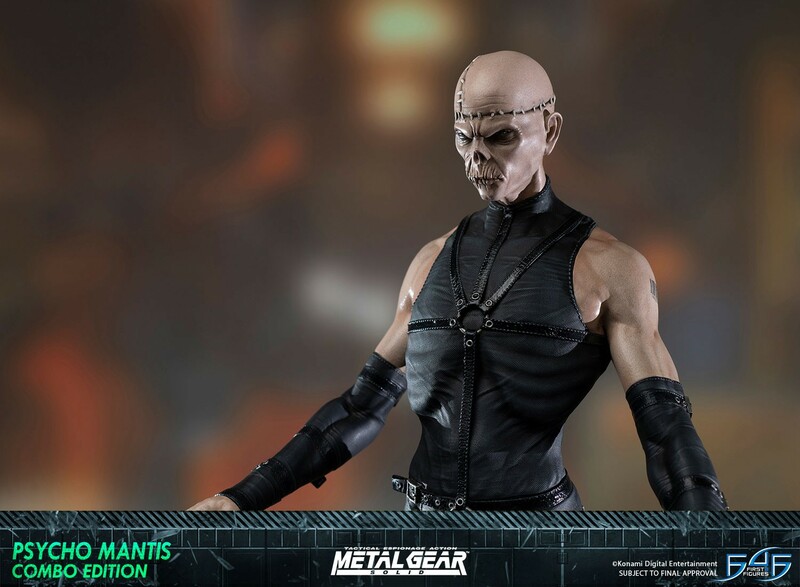 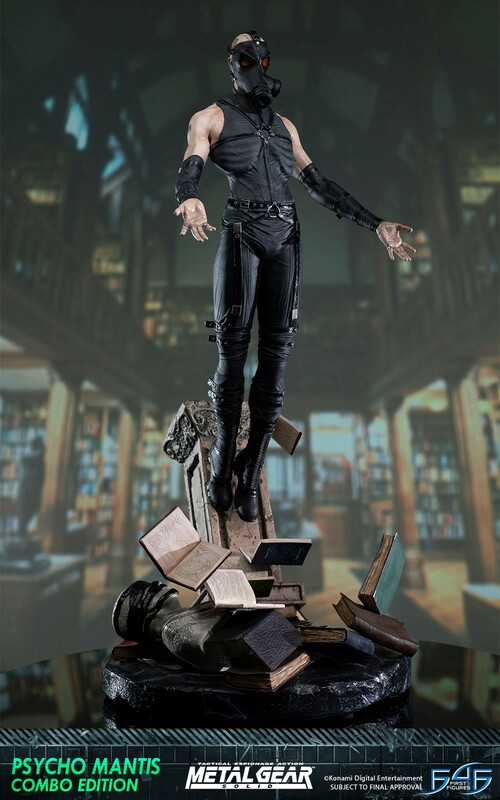 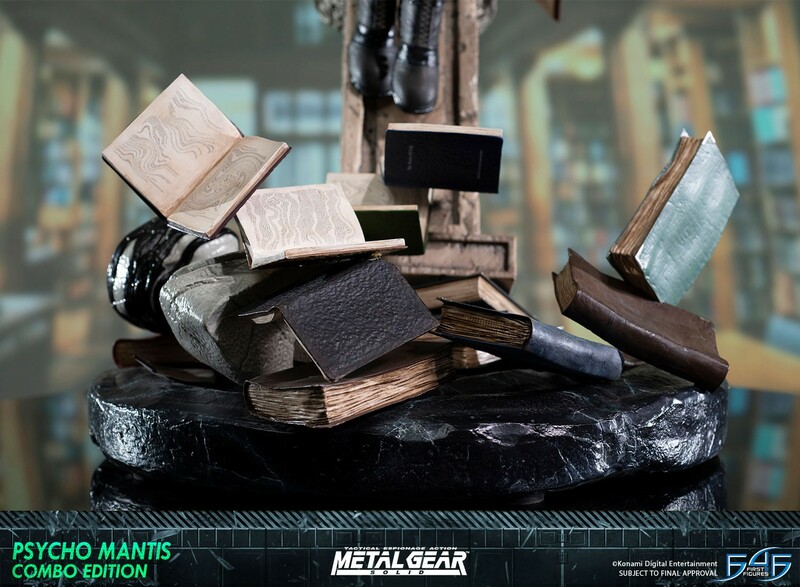 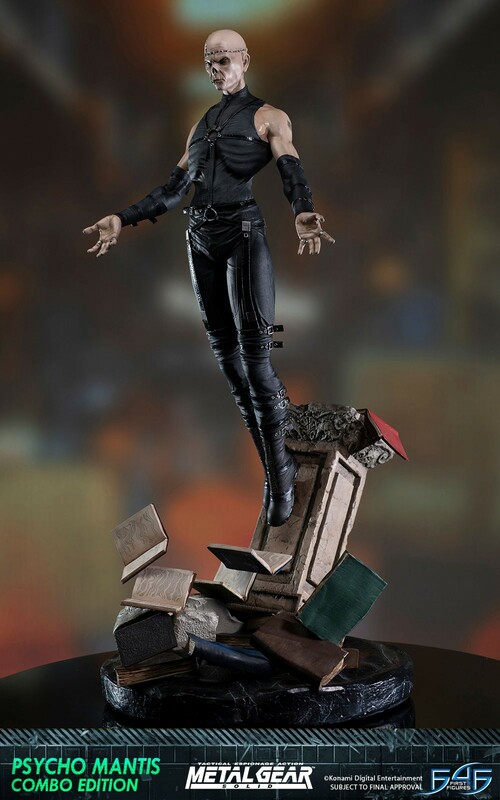 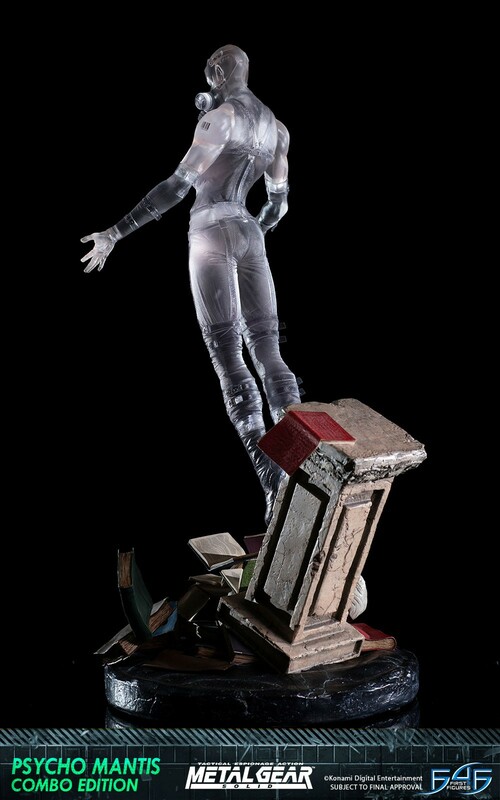 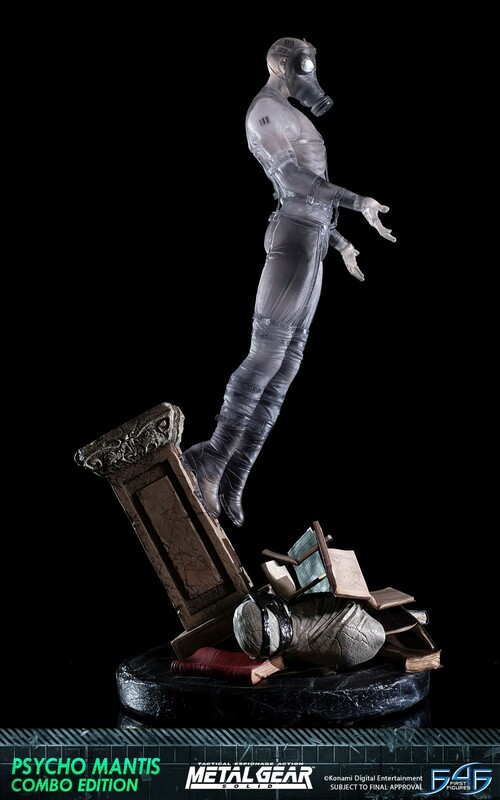 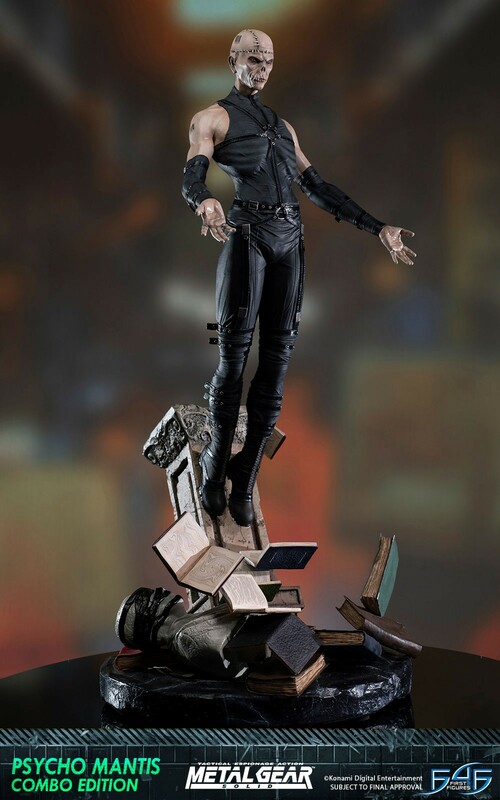 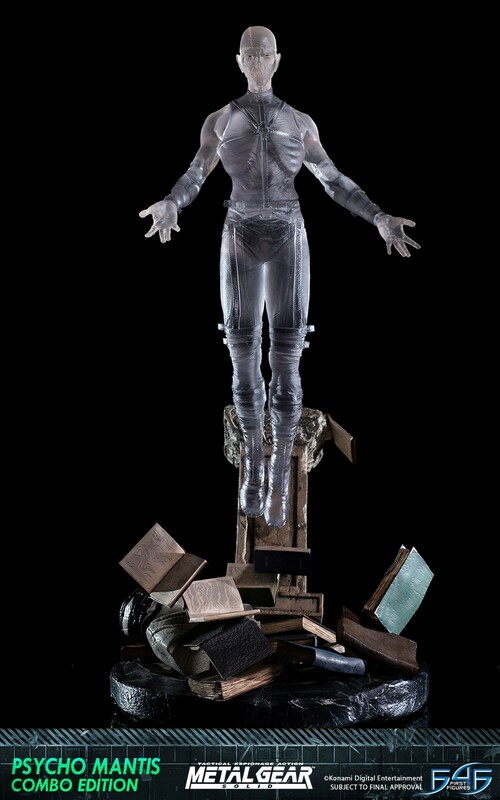 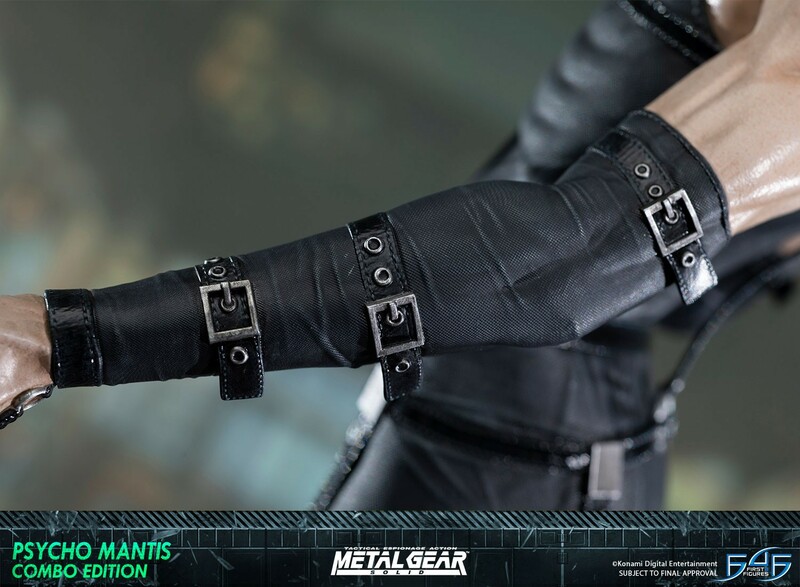 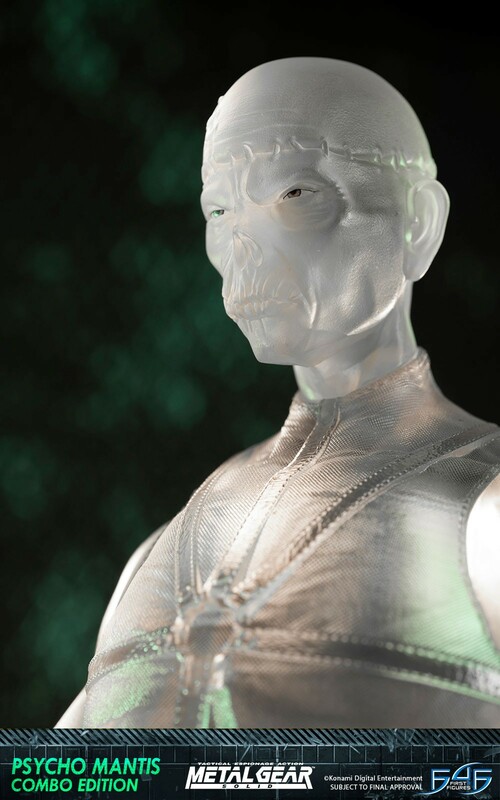 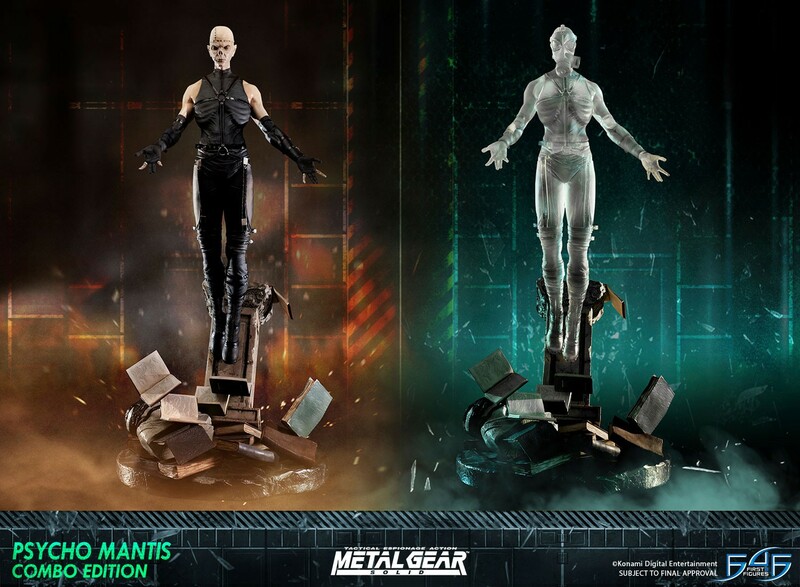 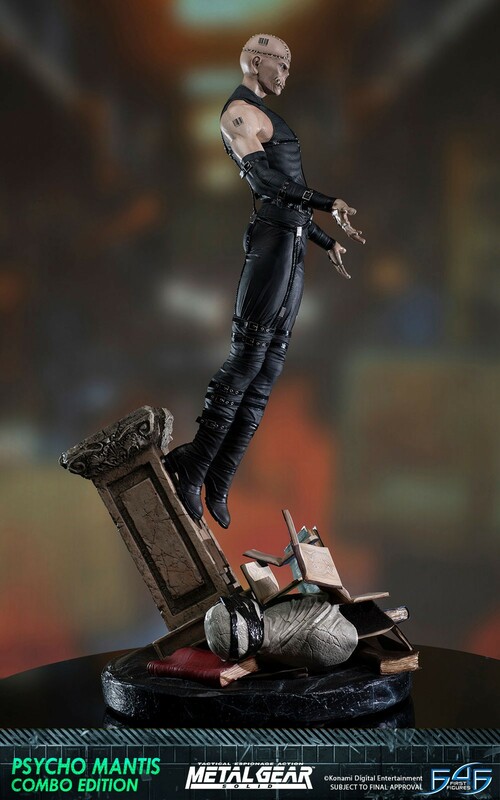 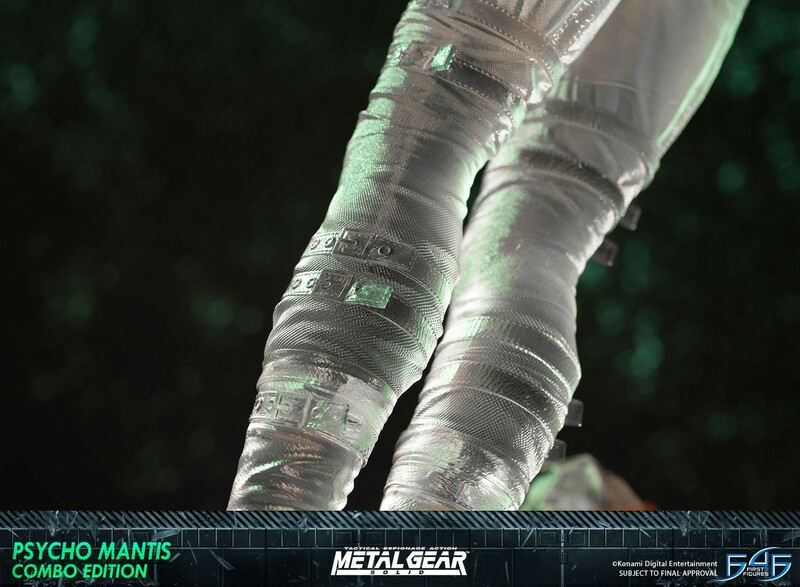 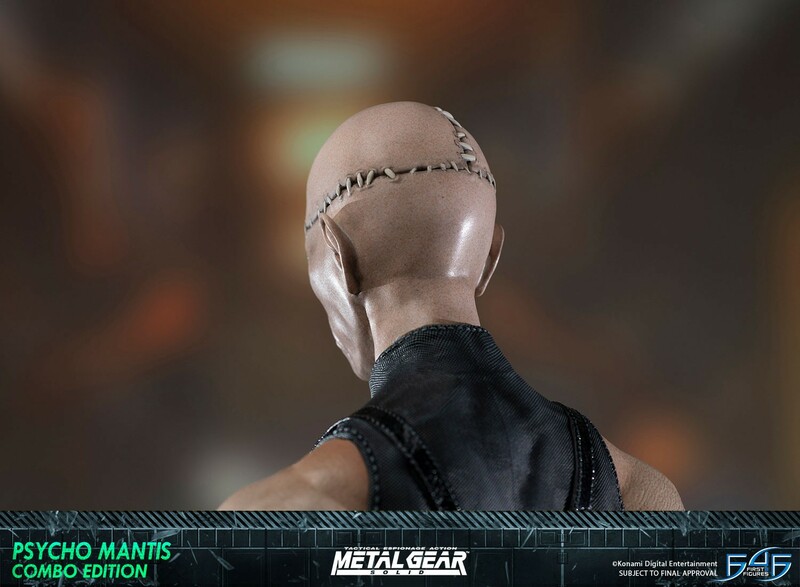 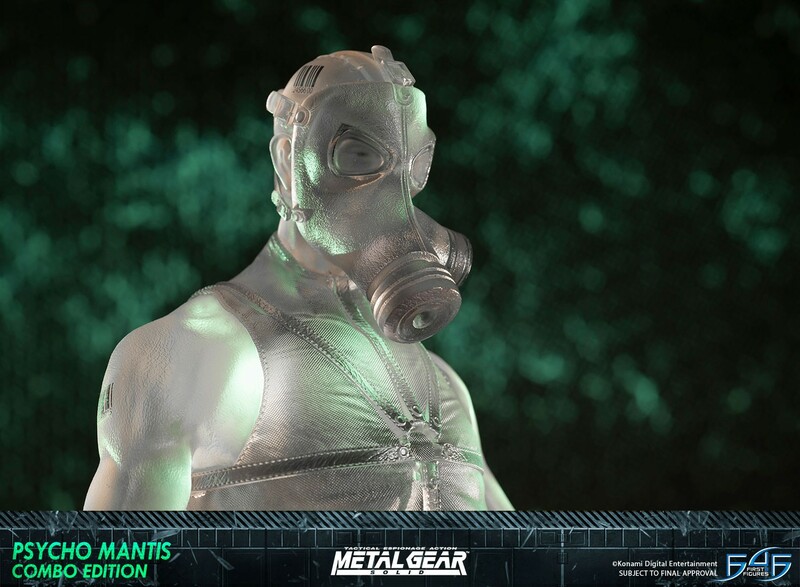 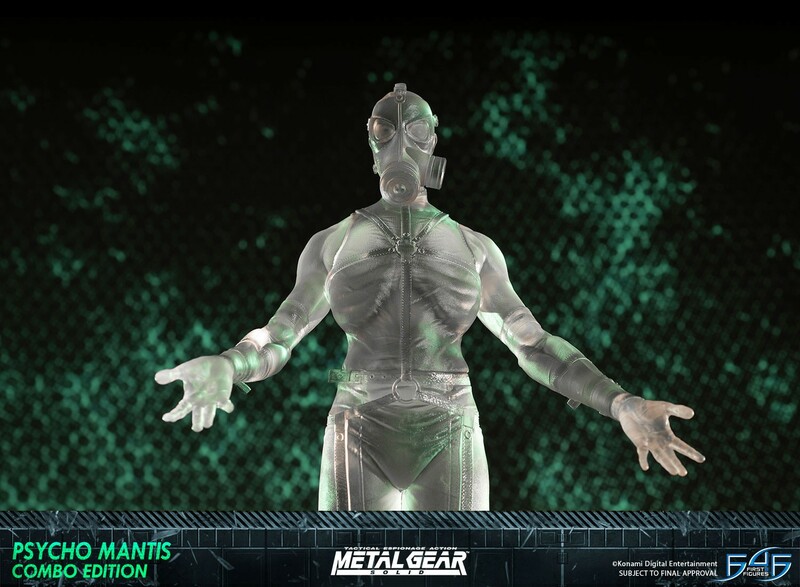 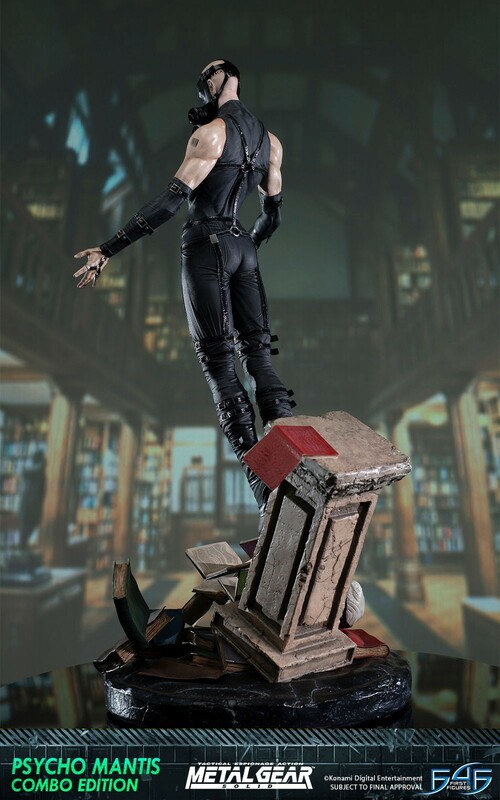 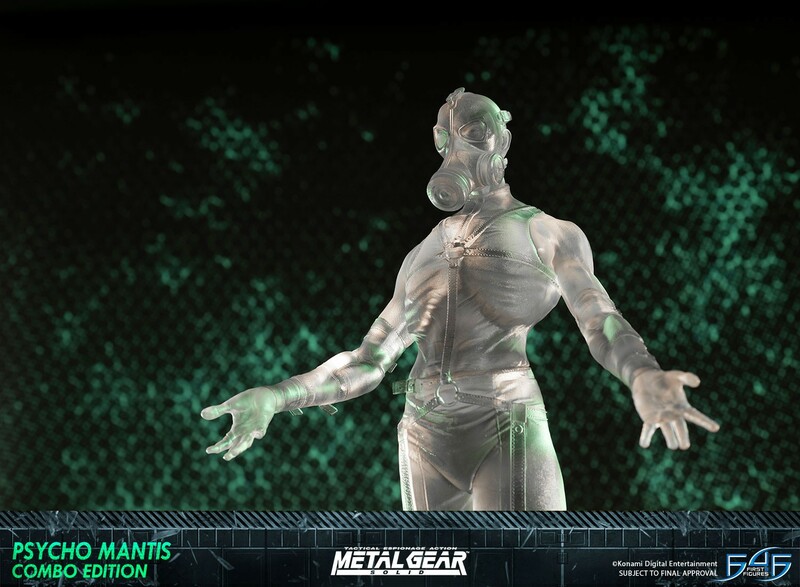 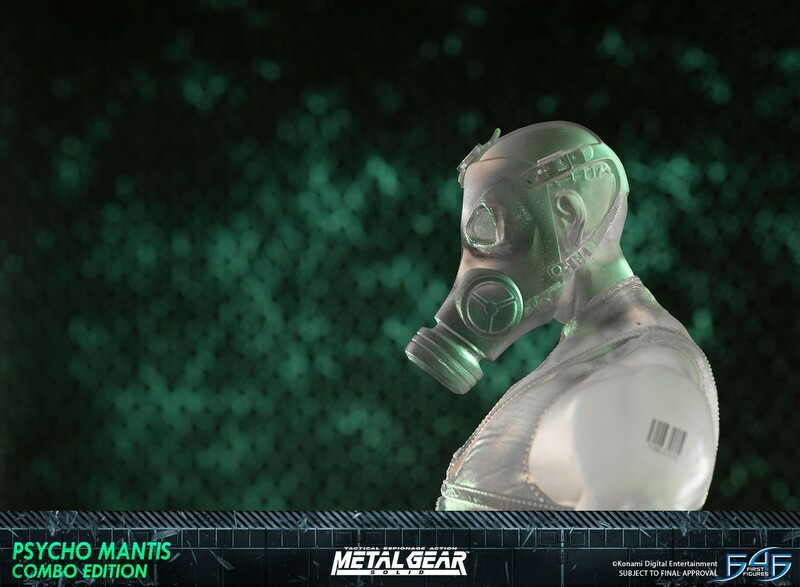 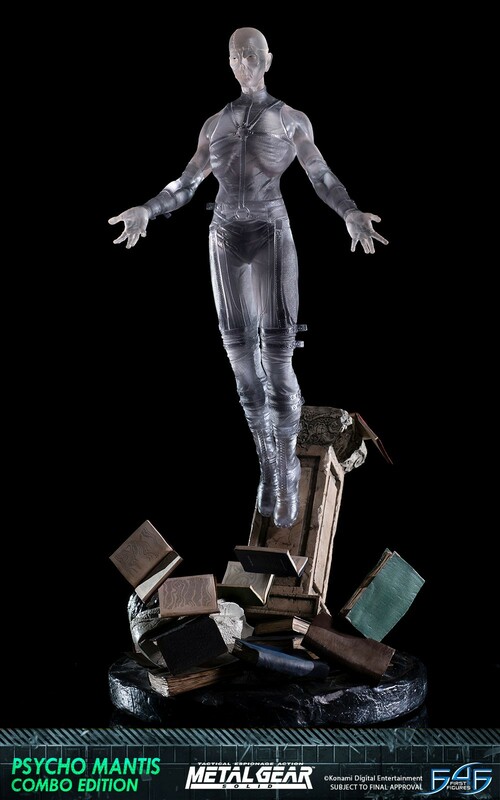 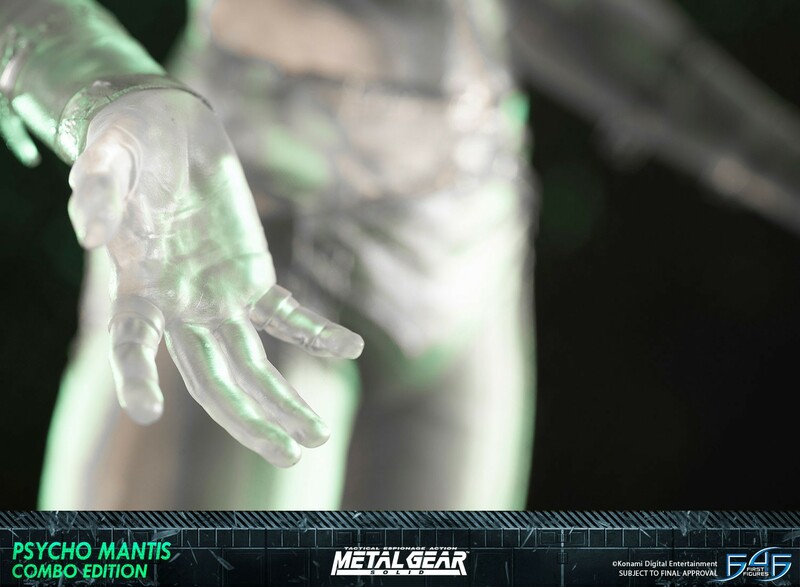 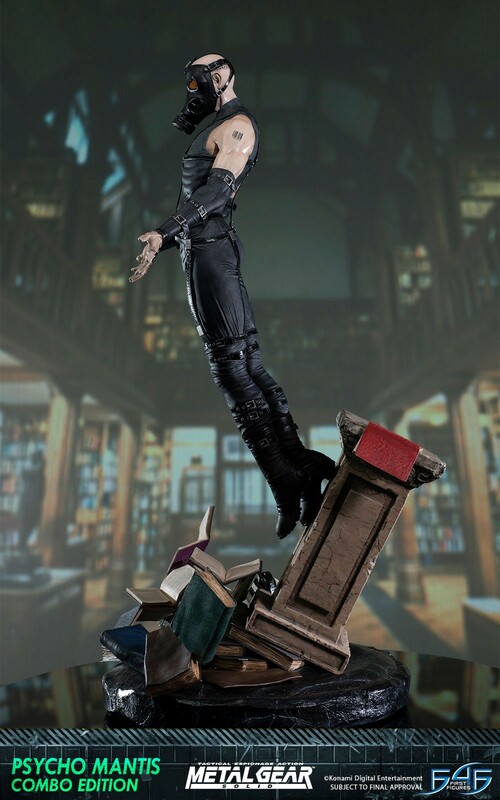 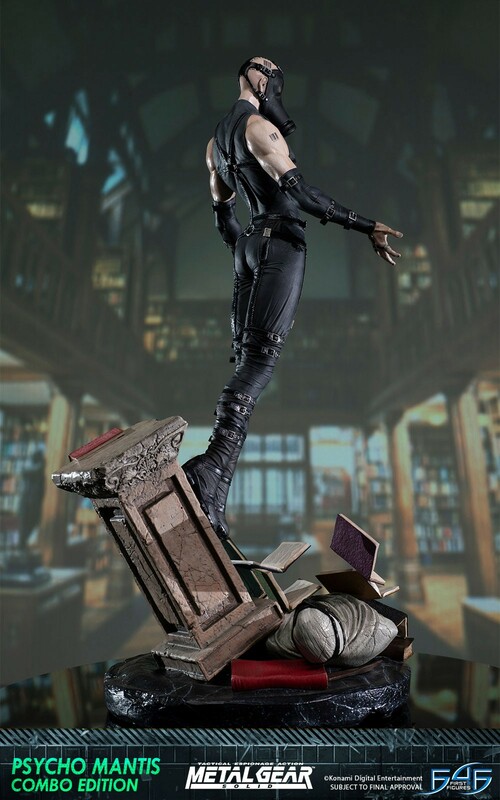 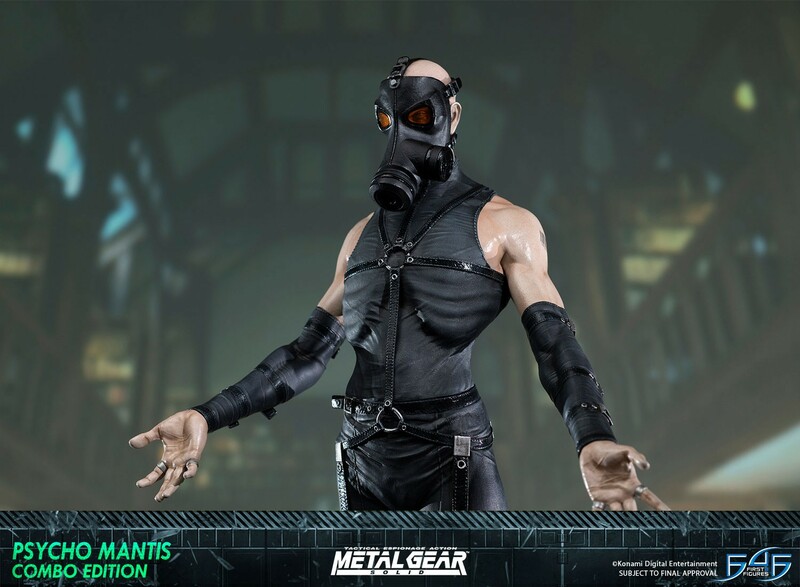 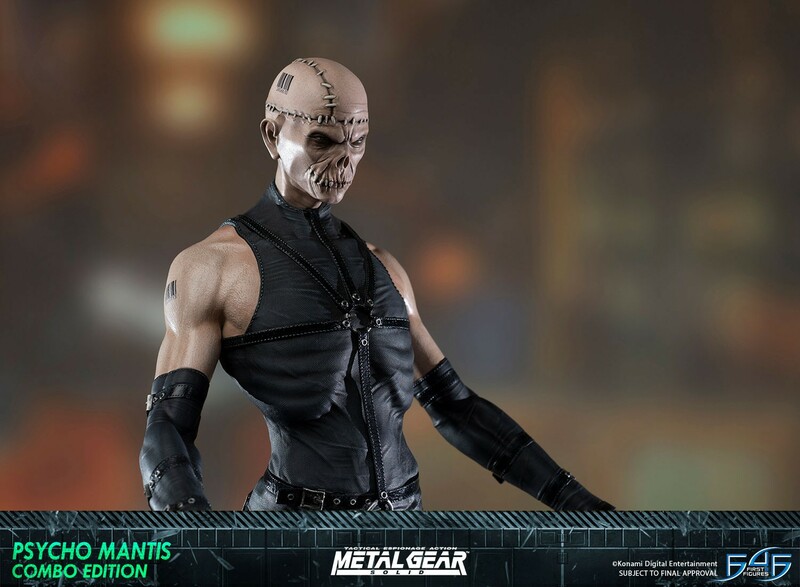 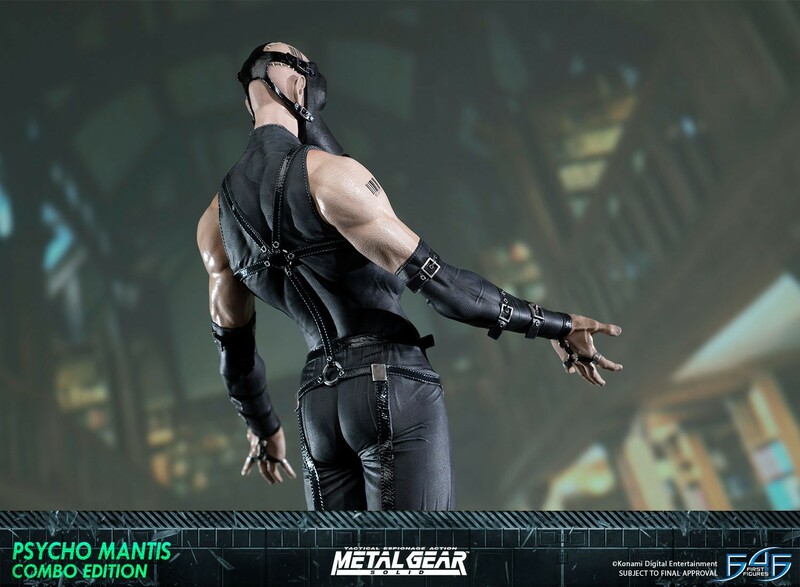 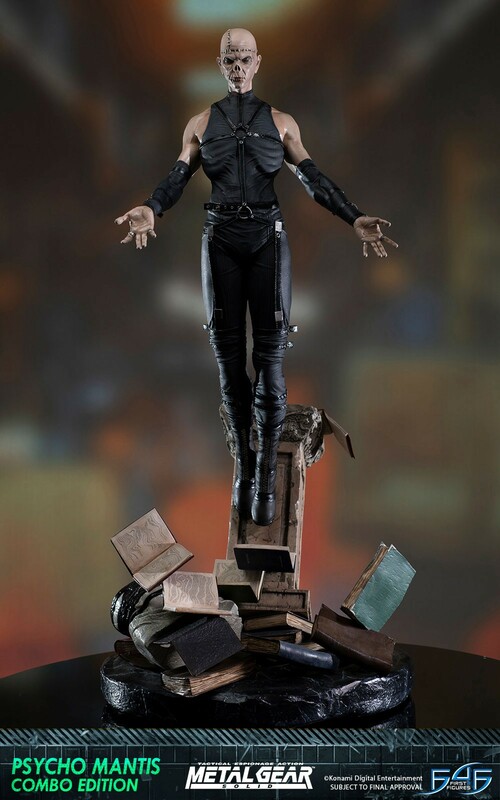 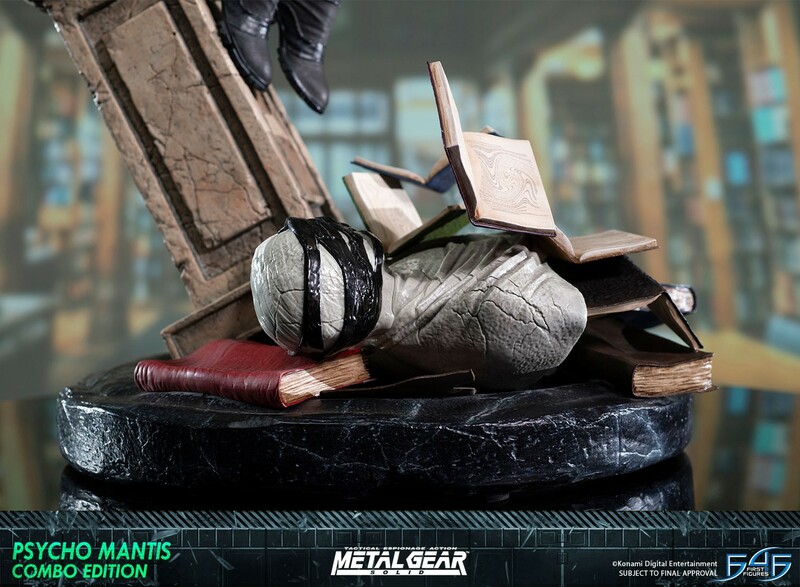 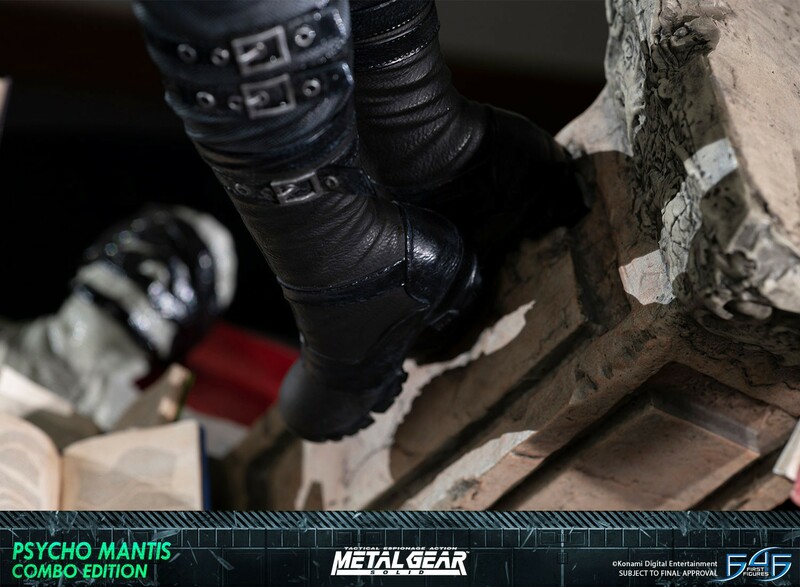 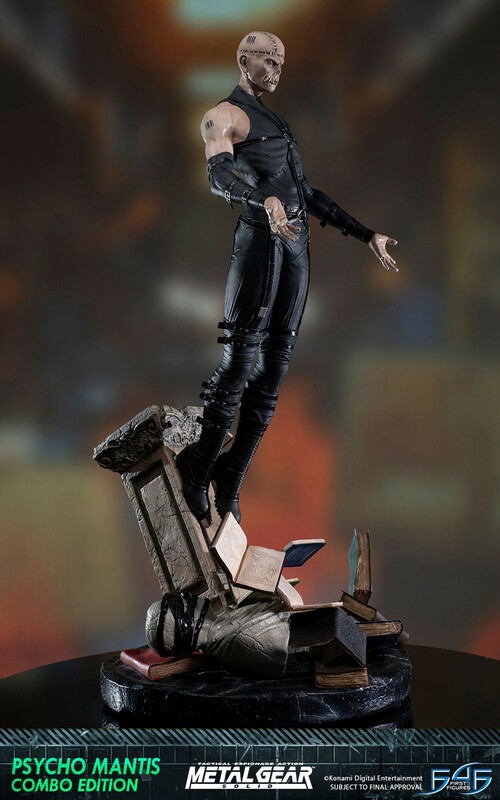 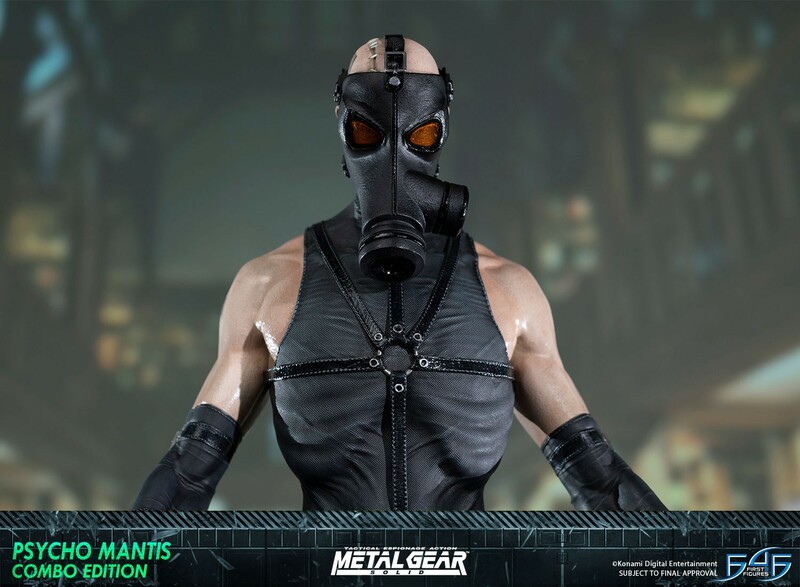 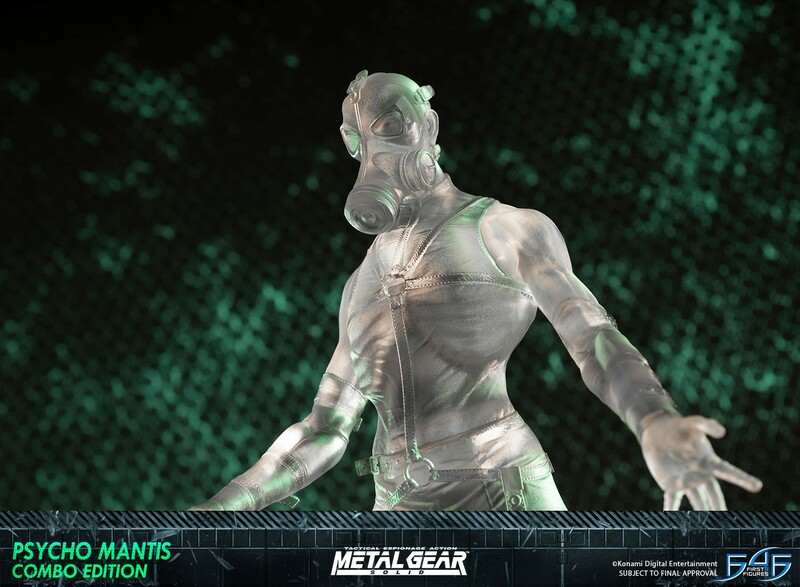 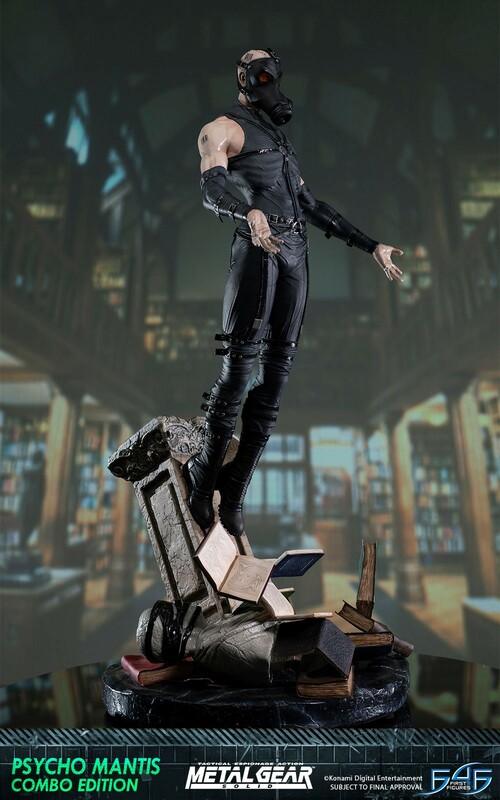 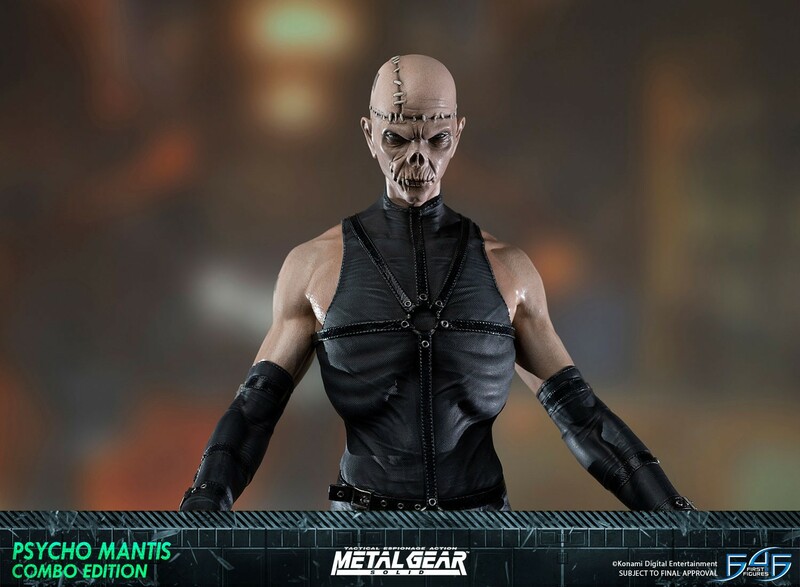 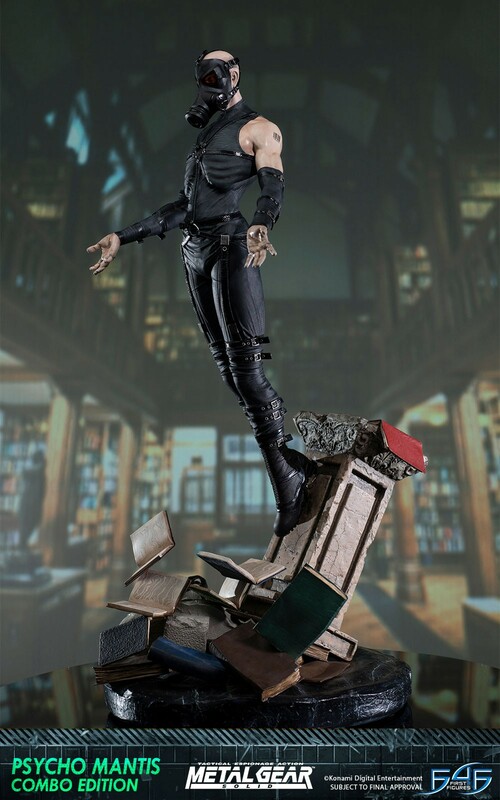 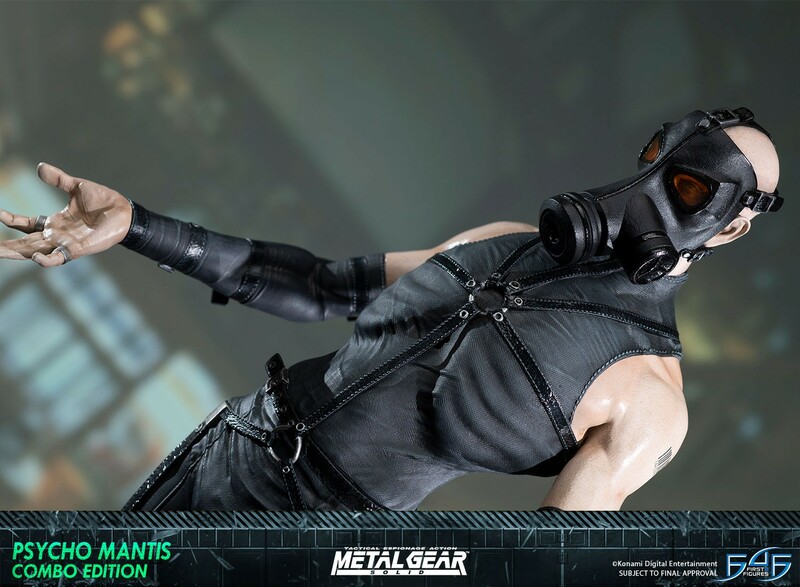 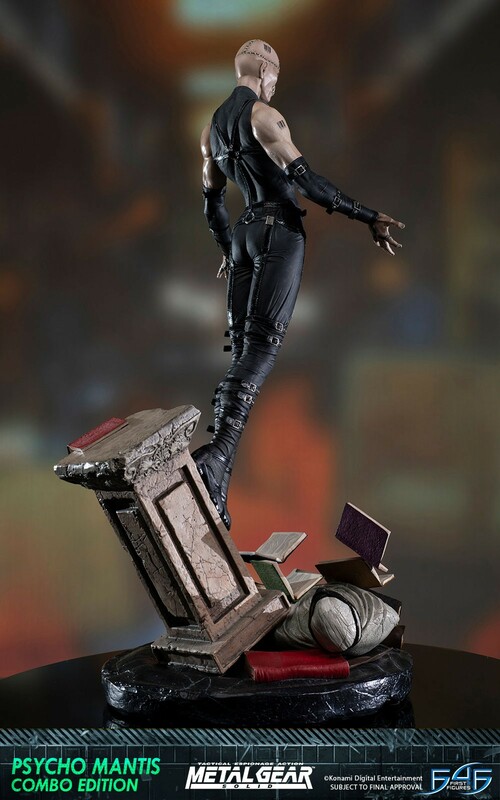 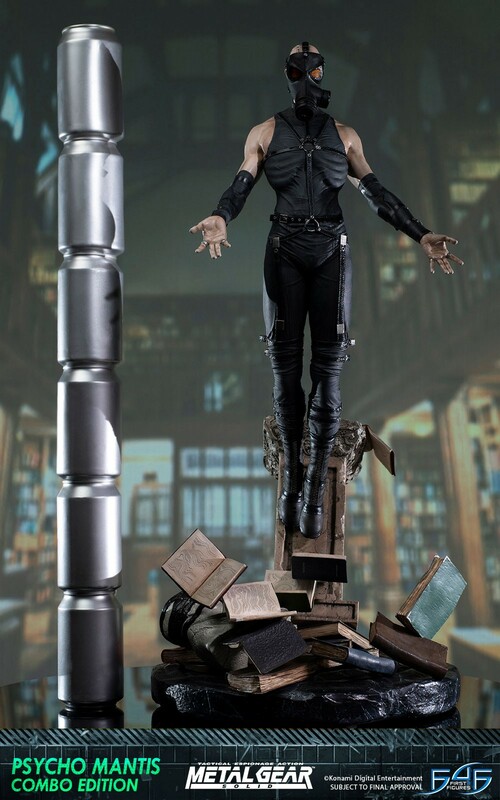 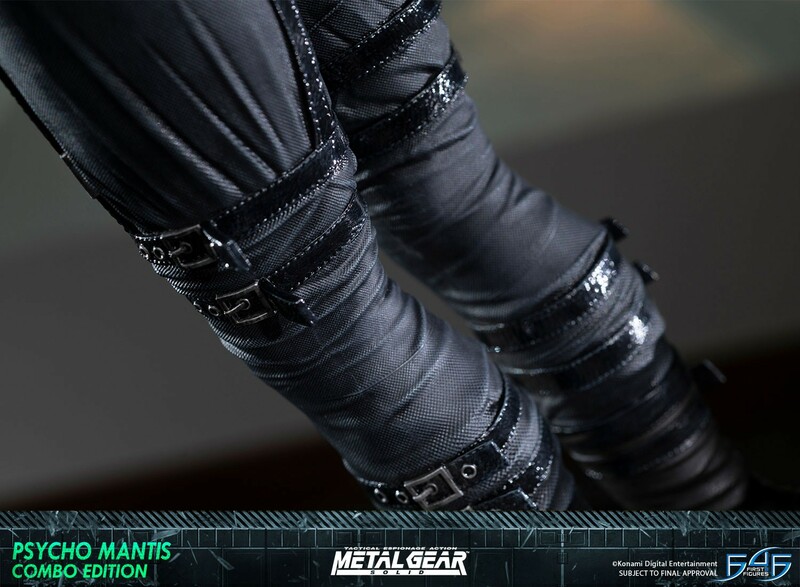 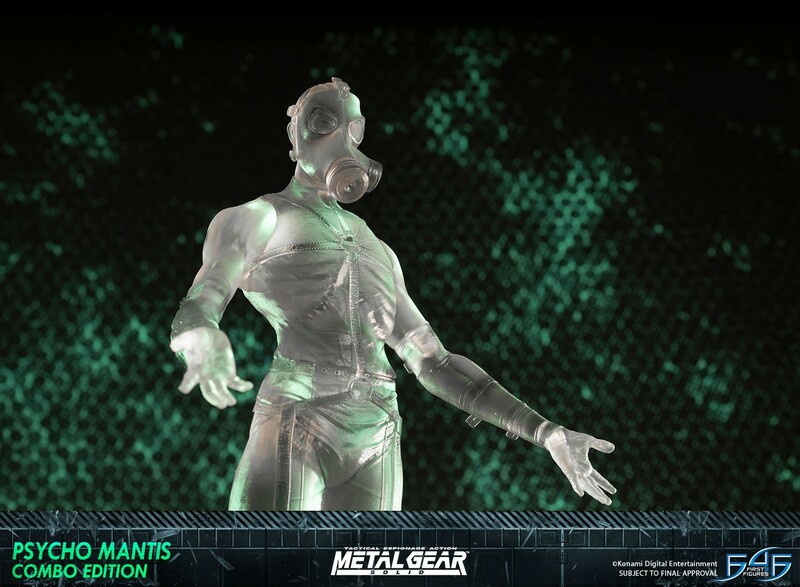 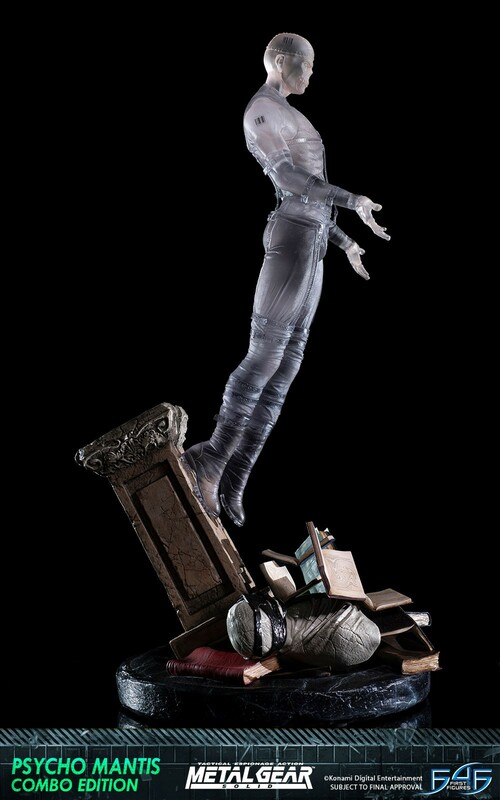 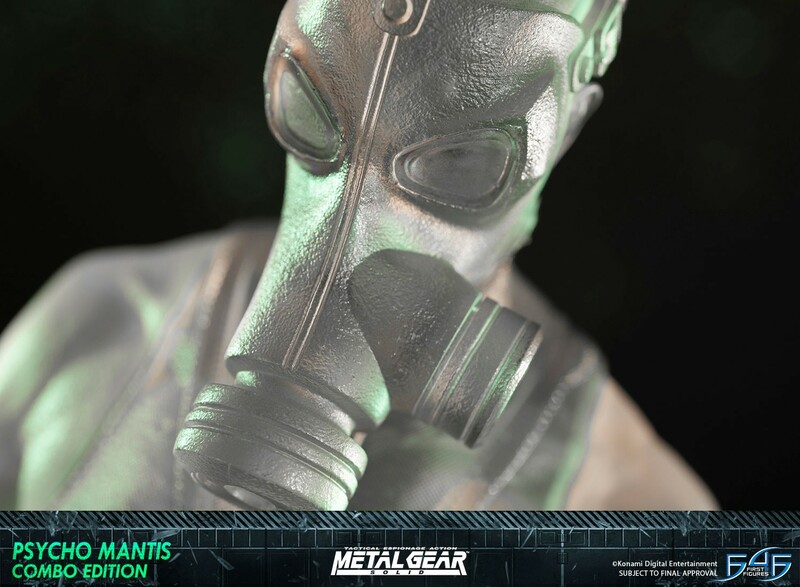 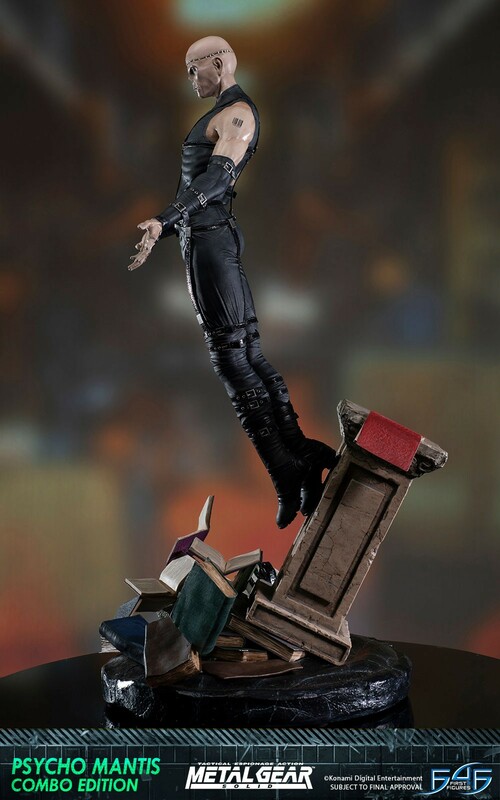 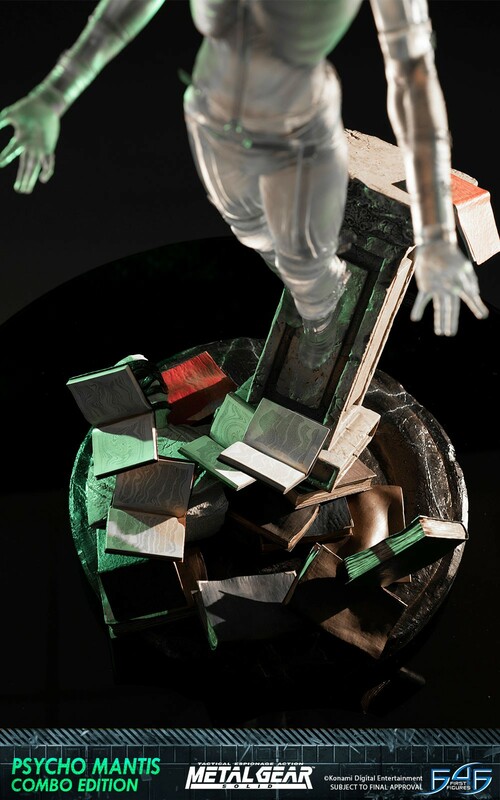 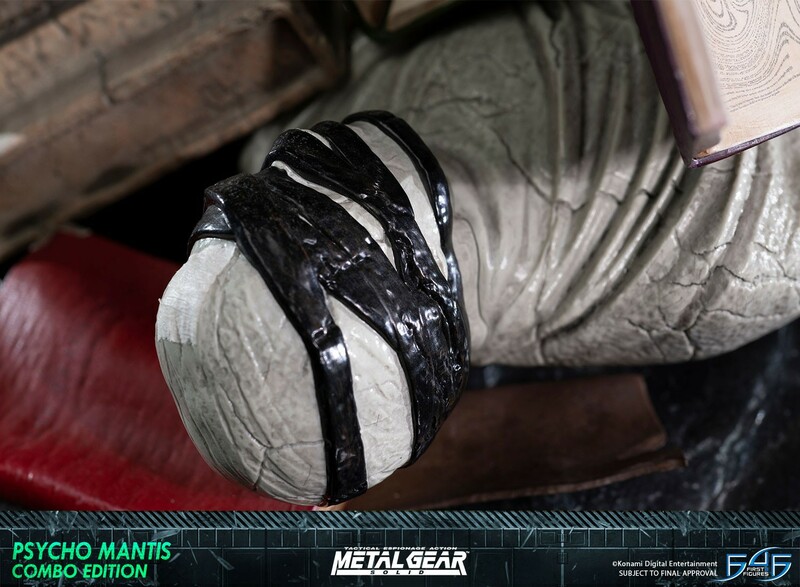 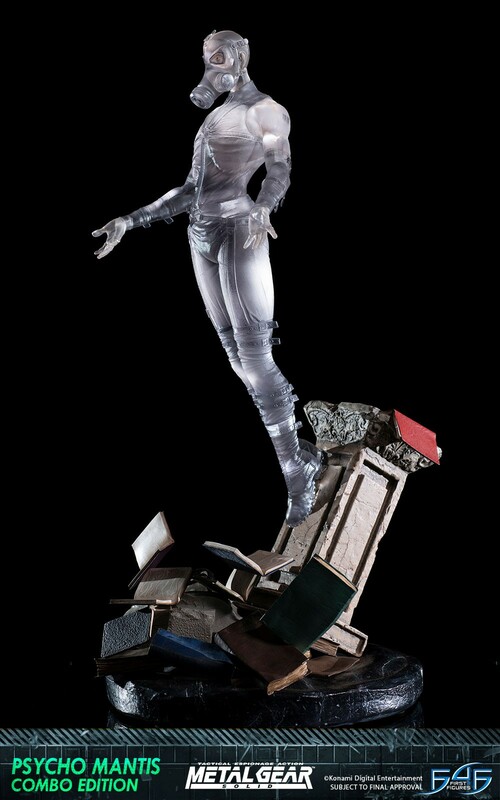 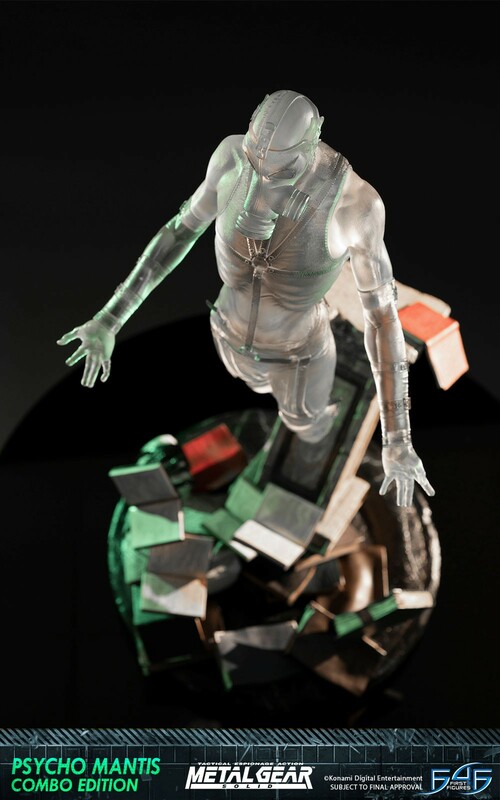 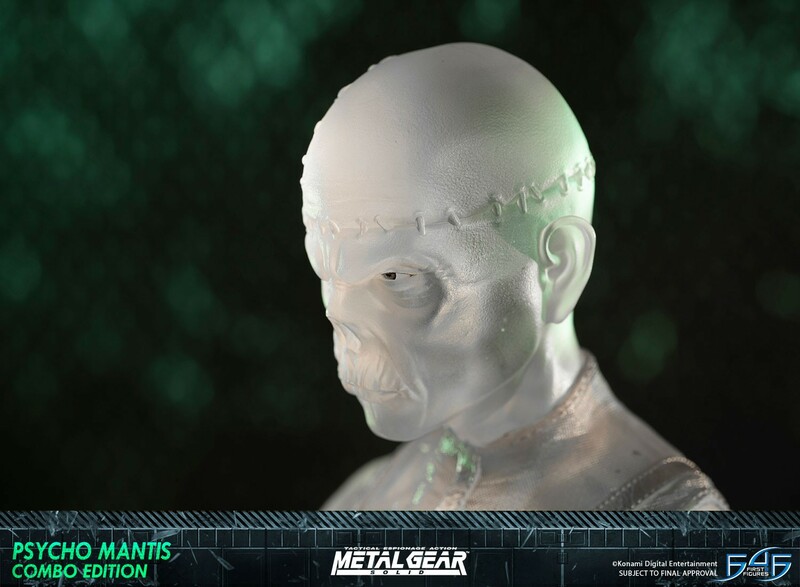 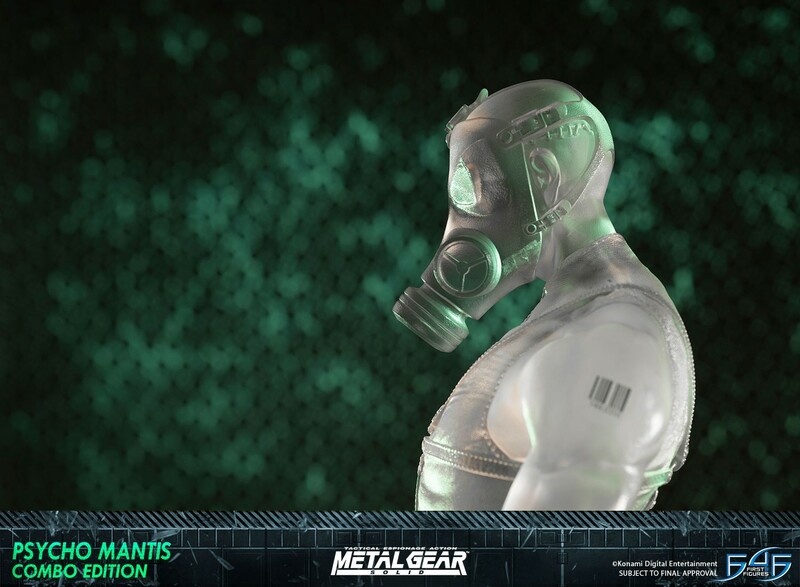 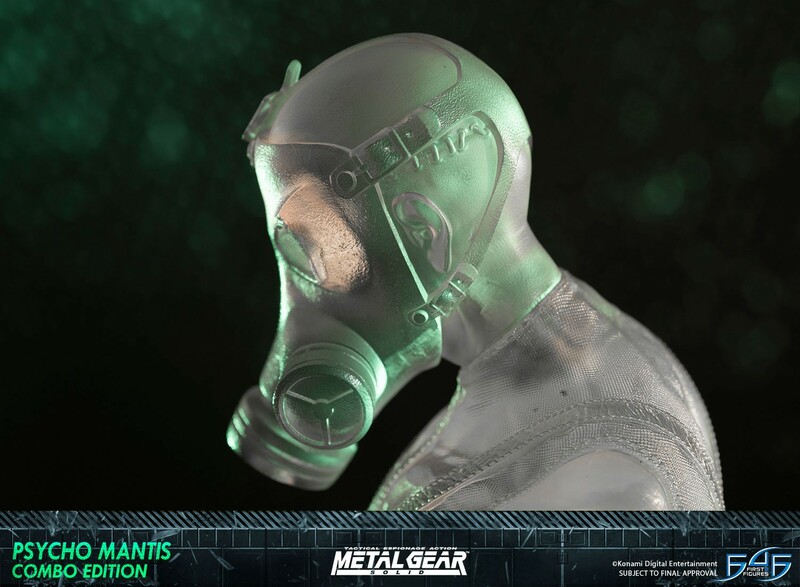 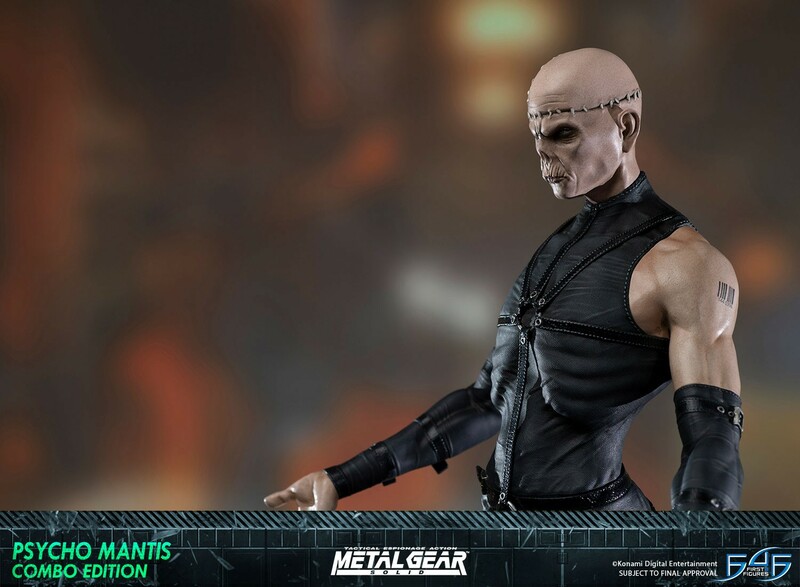 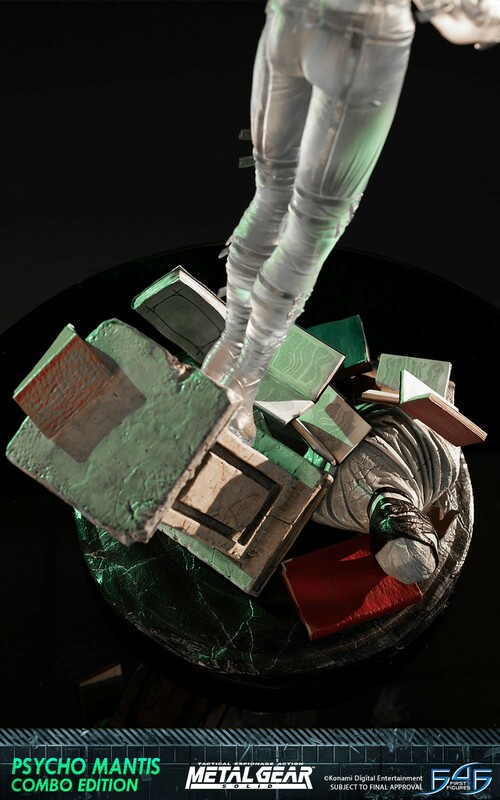 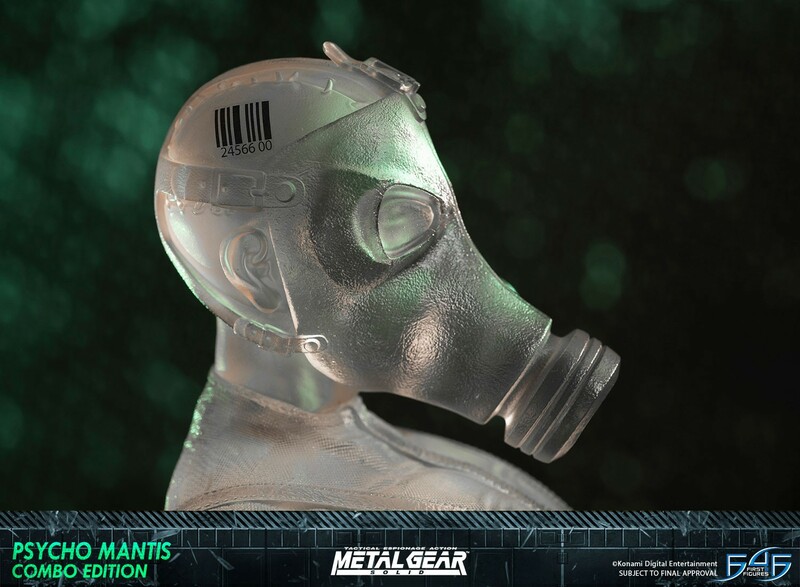 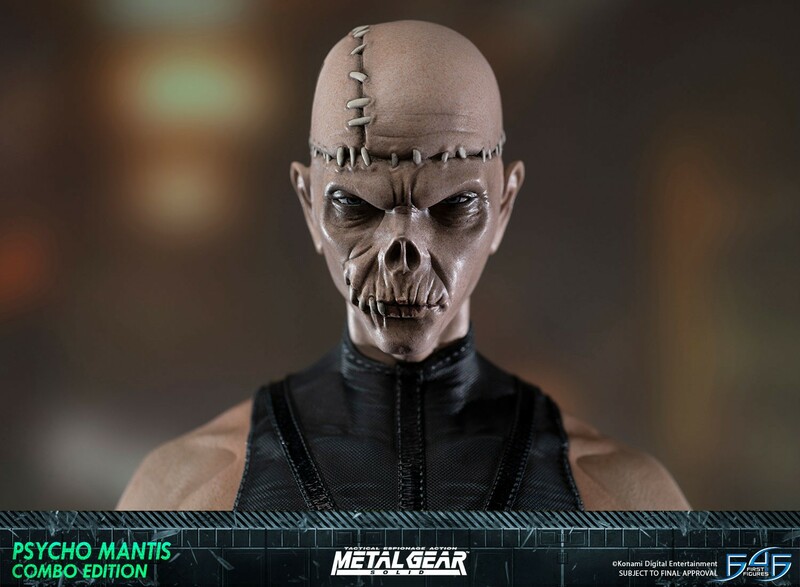 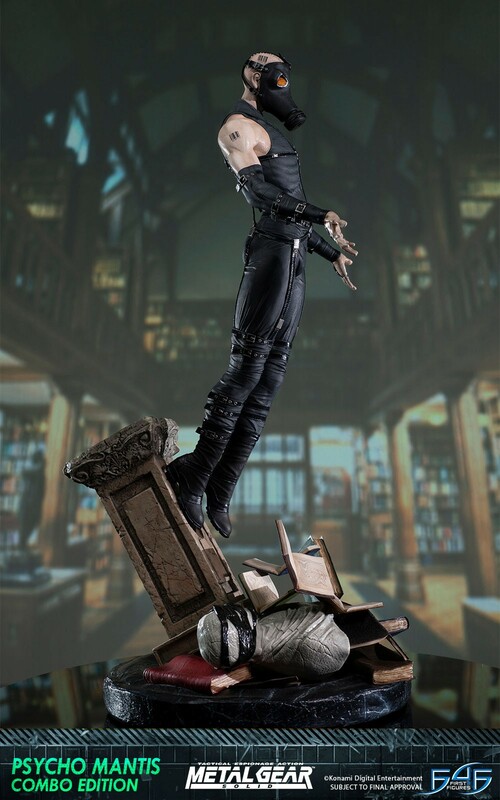 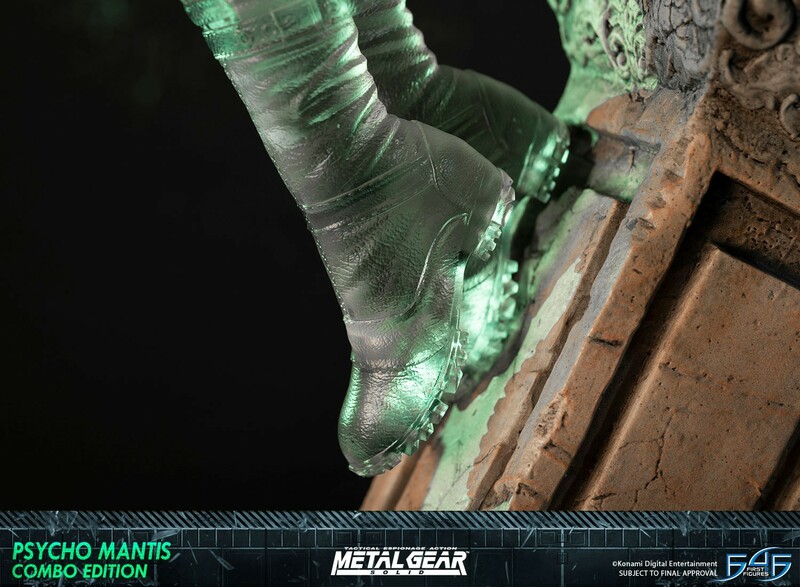 Metal Gear Solid - Psycho Mantis COMBO edition includes the Metal Gear Solid - Psycho Mantis Statue OPTIC CAMOUFLAGE edition as well as the Metal Gear Solid - Psycho Mantis Statue EXCLUSIVE edition for the Ultimate Metal Gear Solid fan. 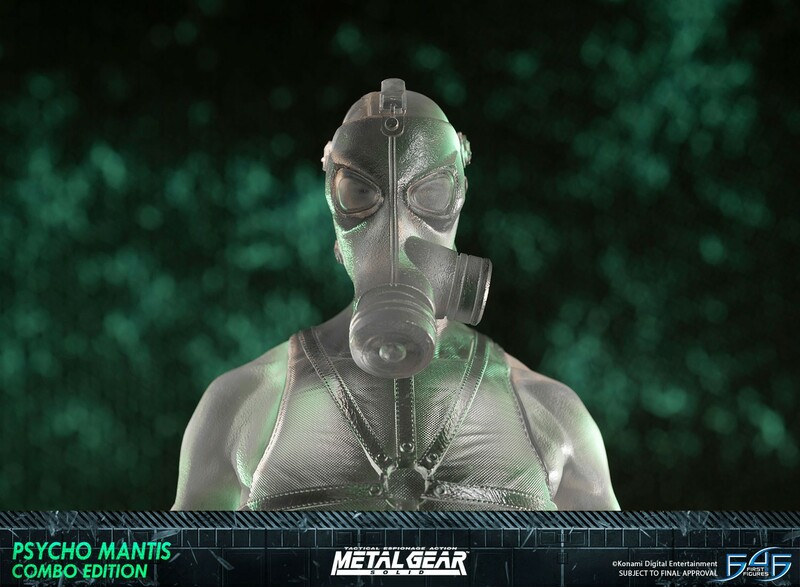 Purchasing the Metal Gear Solid - Psycho Mantis COMBO edition at anytime during Day One after the launch starts (24 hours) will entitle you to the following extra free bonuses. 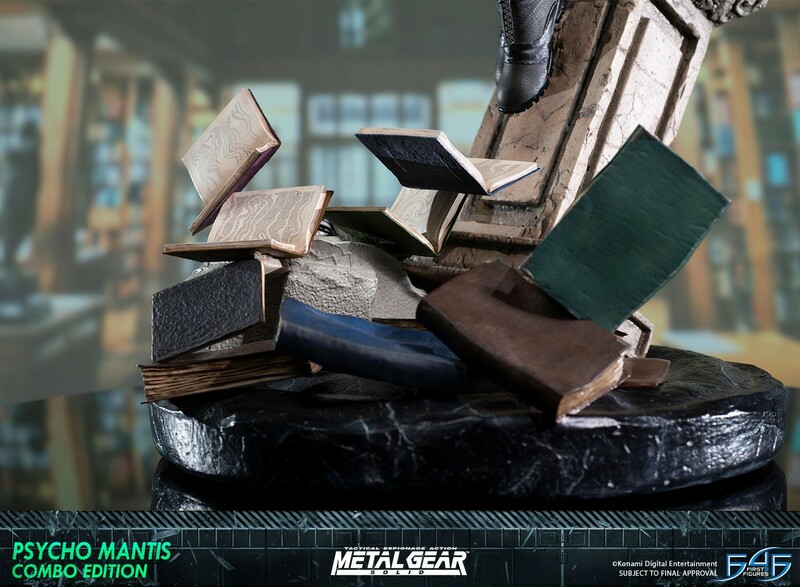 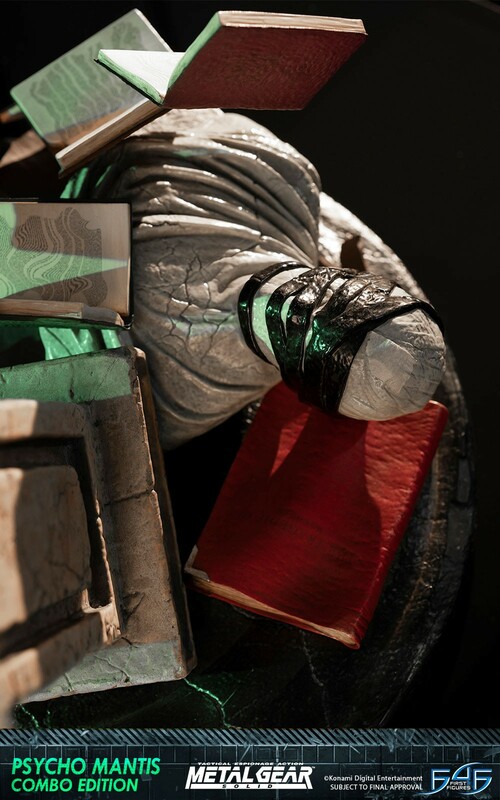 NOTE - You must come back to the website on 28th August 2018, log into your account and VALIDATE your order to confirm your Day One edition. 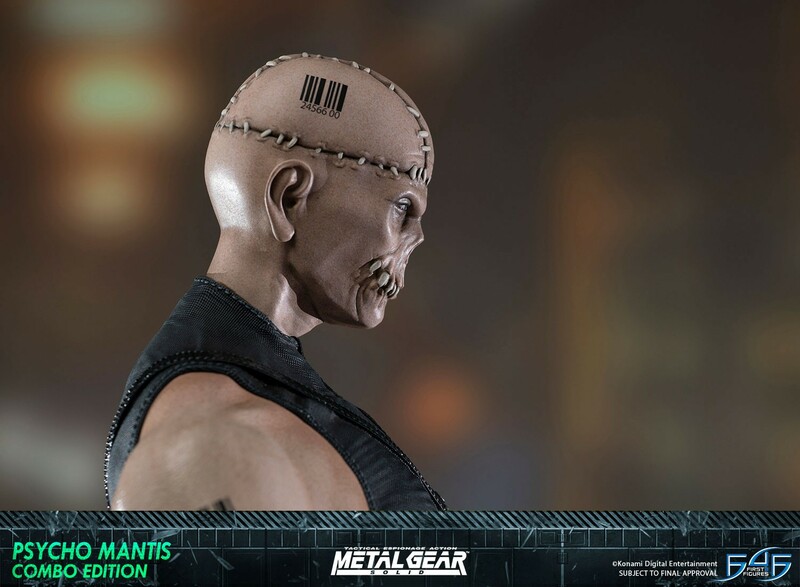 An additional Signature Card signed by Alex Davis x 2. 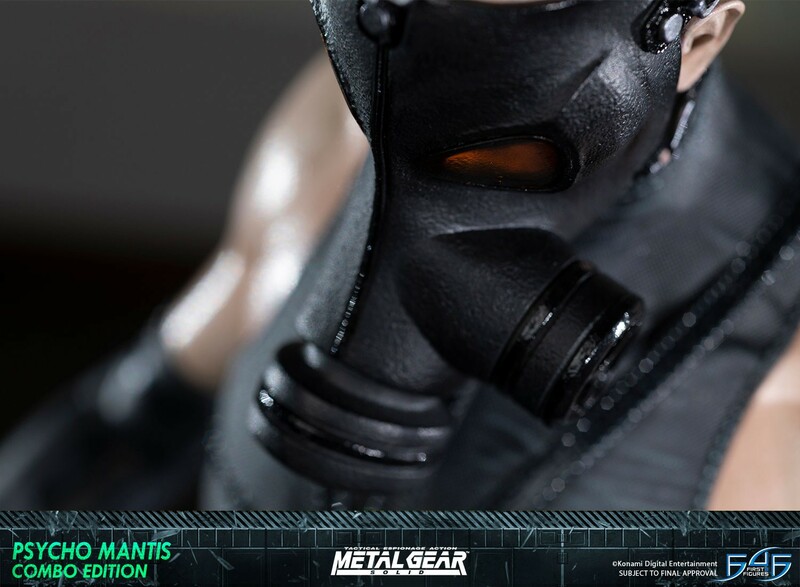 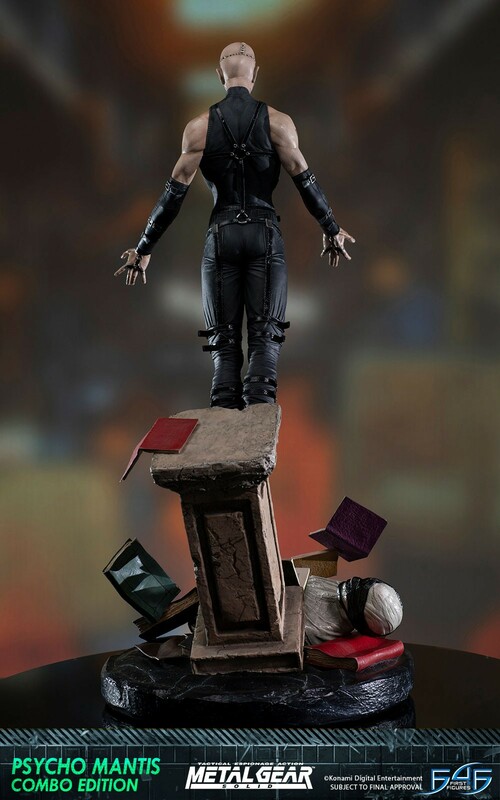 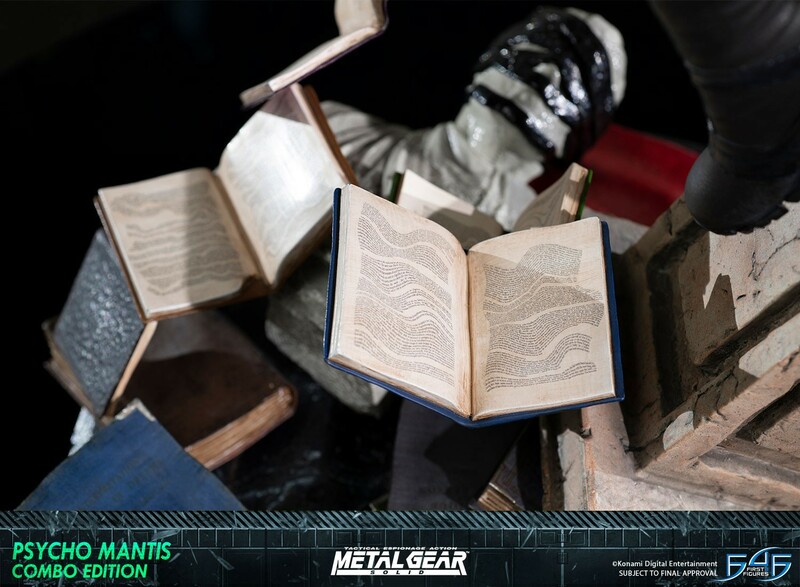 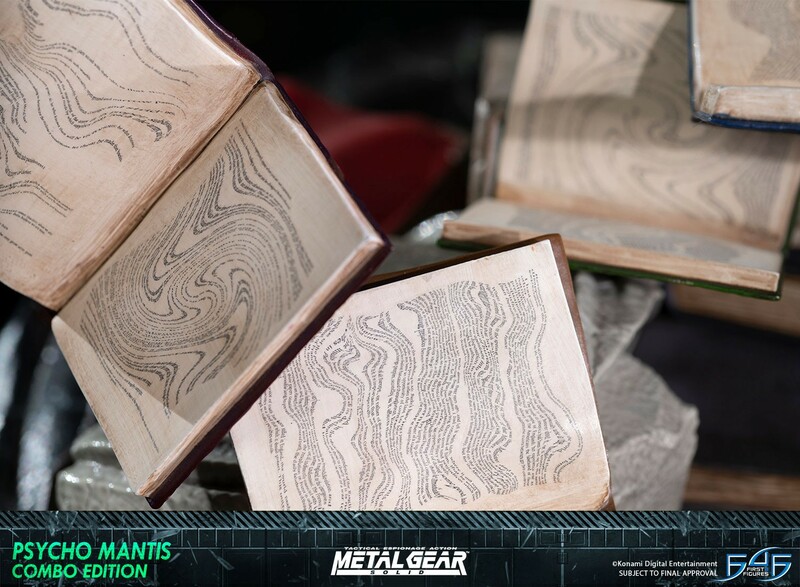 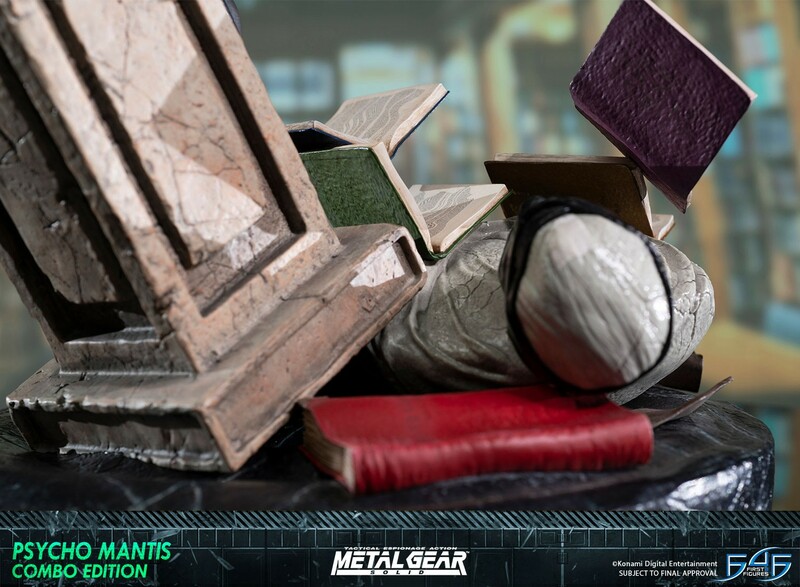 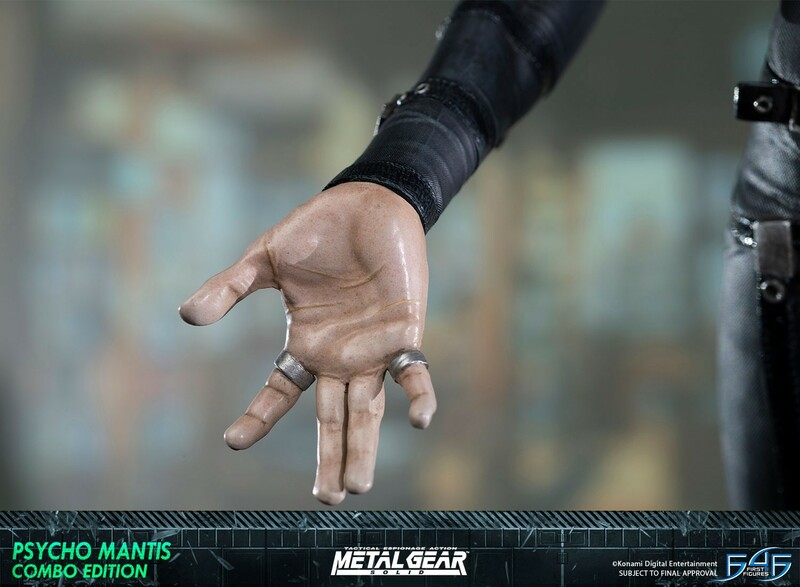 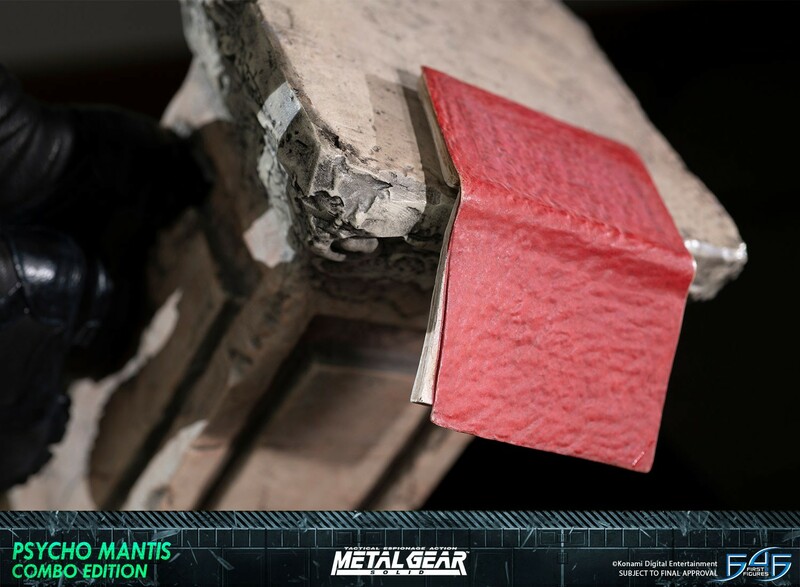 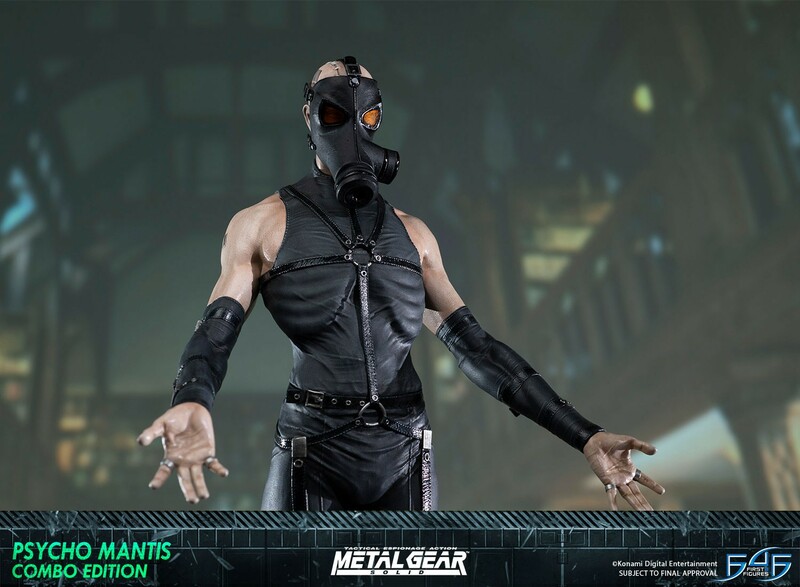 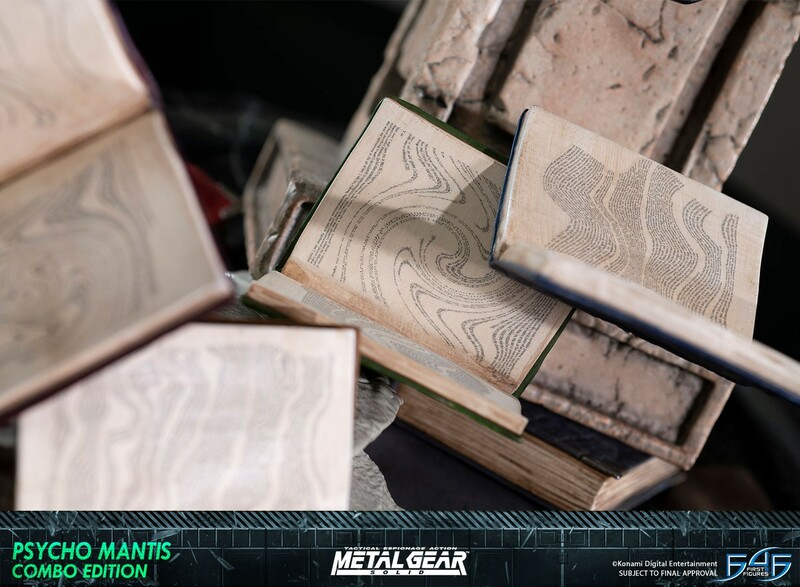 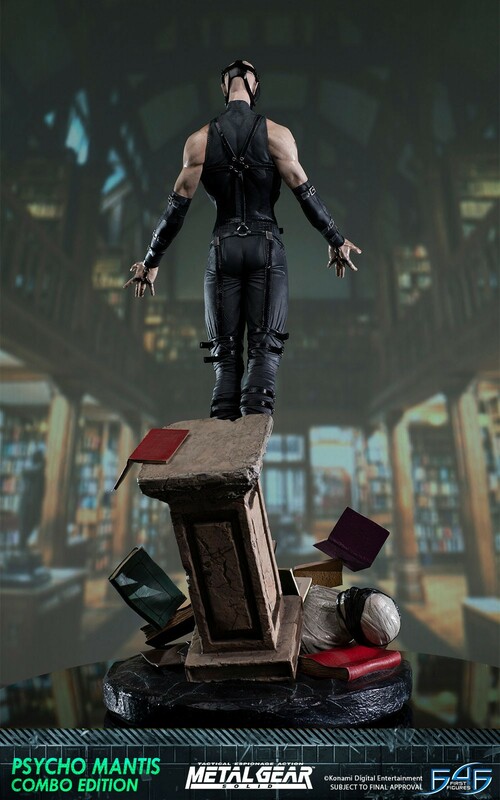 Everything you need to know (and more) about the Psycho Mantis pre-order!